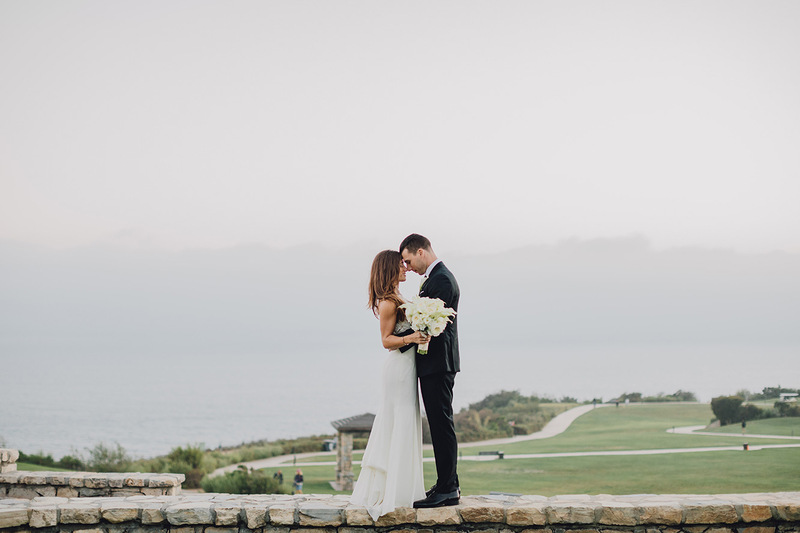 The Trump Golf Club in Palos Verdes offers a quintessential blend of beauty and magic. 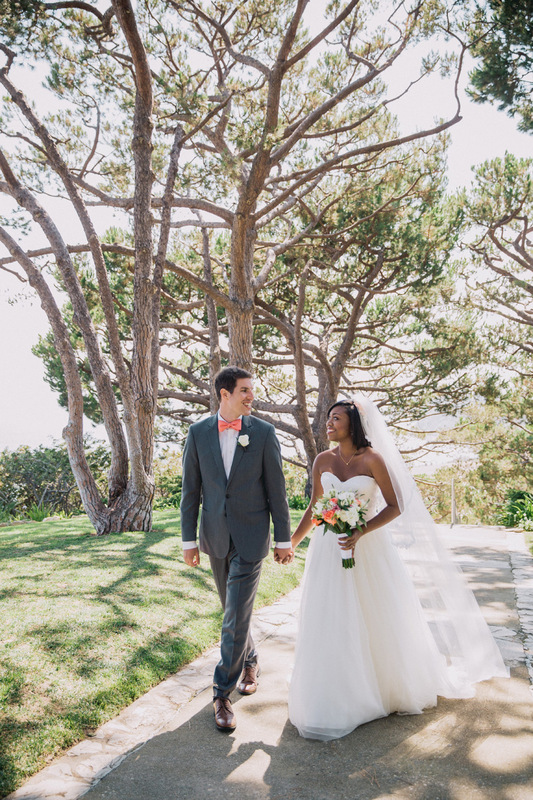 With magnificent views of the Pacific Coast, a vista terrace and award-winning ceremony space – it’s a location that gives Breanna and Theo a beautiful backdrop to play with. 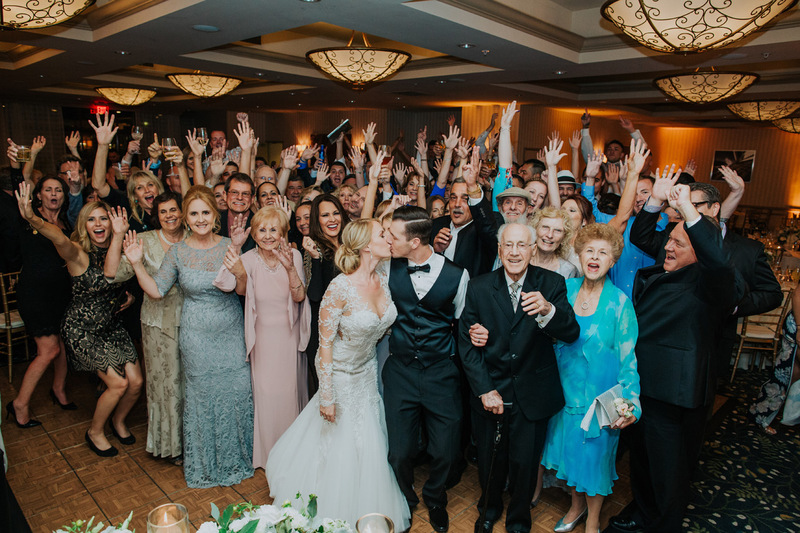 One which also encompasses all that a majestic wedding celebration should be. 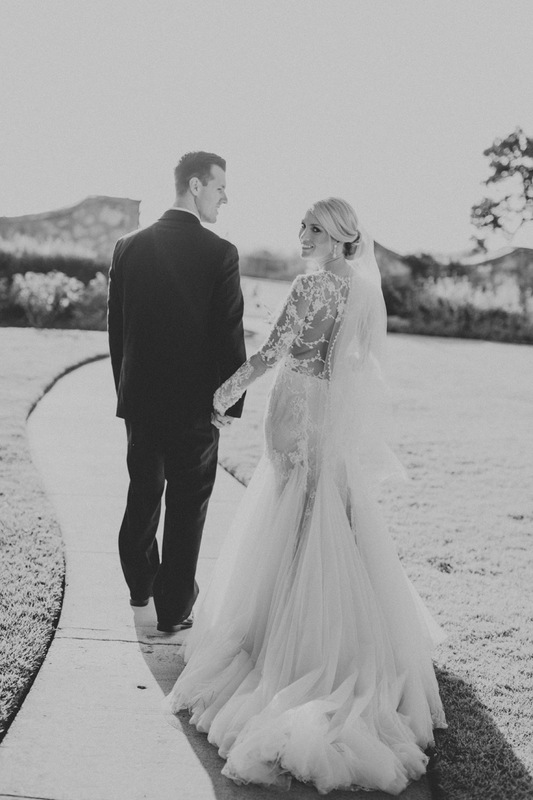 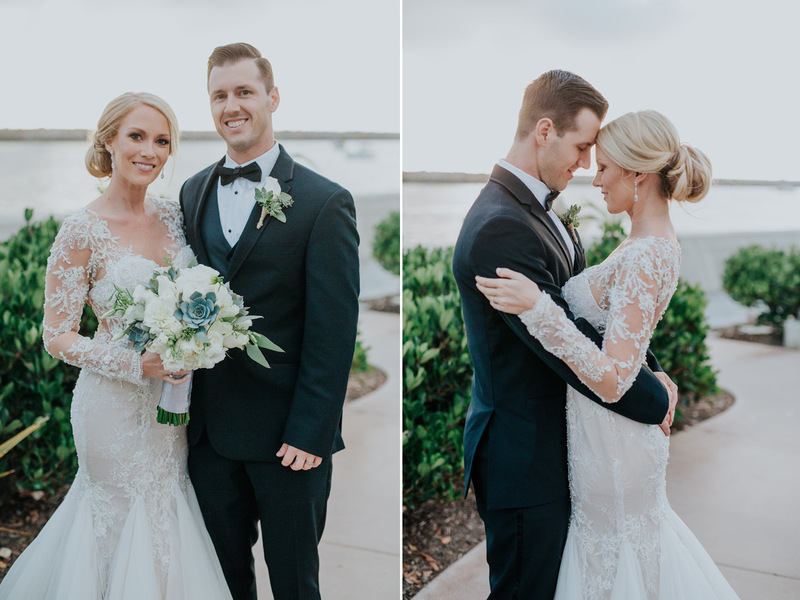 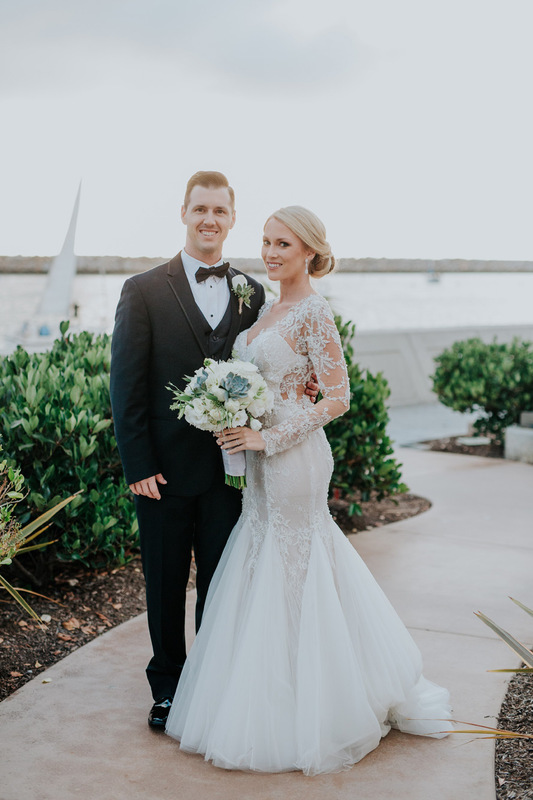 The bride opts for an ivory fishtail wedding dress with a lace-style bodice. 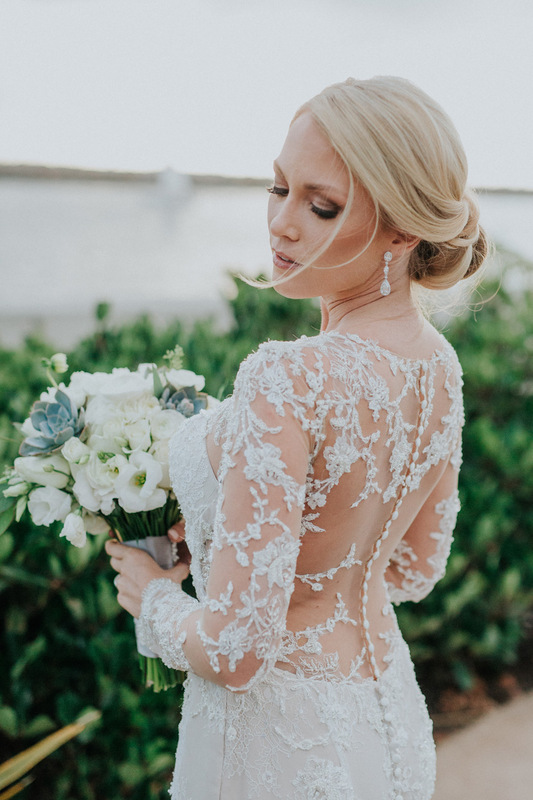 It features delicate spaghetti straps and a chiffon train. 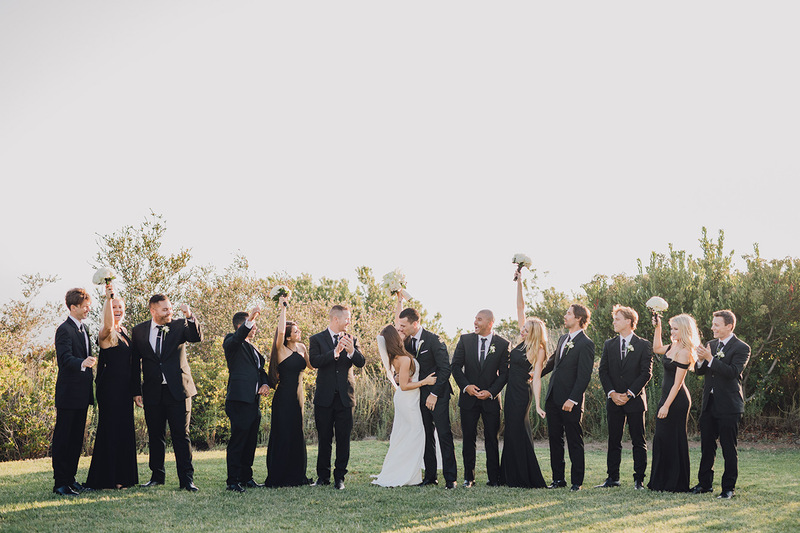 The bridesmaids, on the other hand, create a crisp contrast in stunning black gowns. 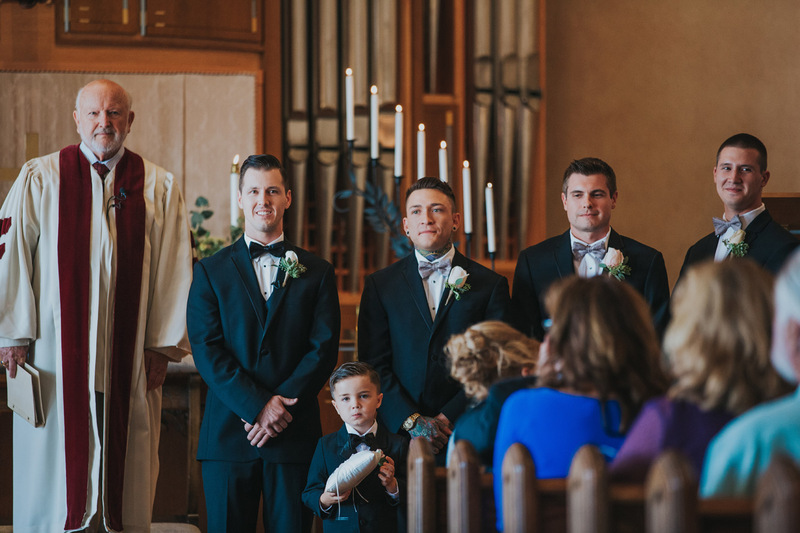 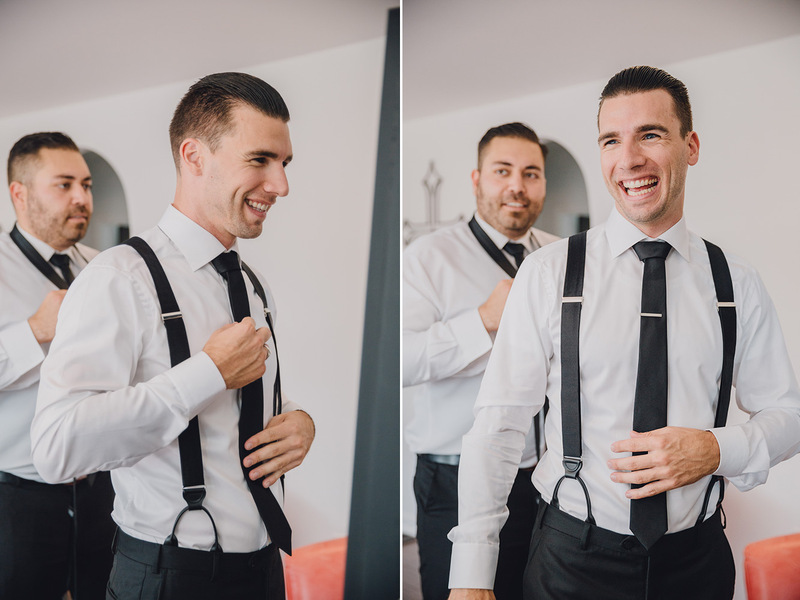 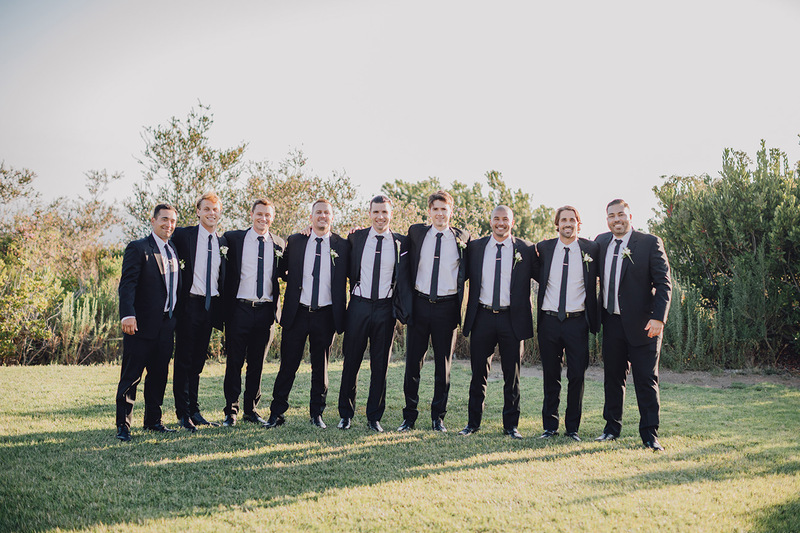 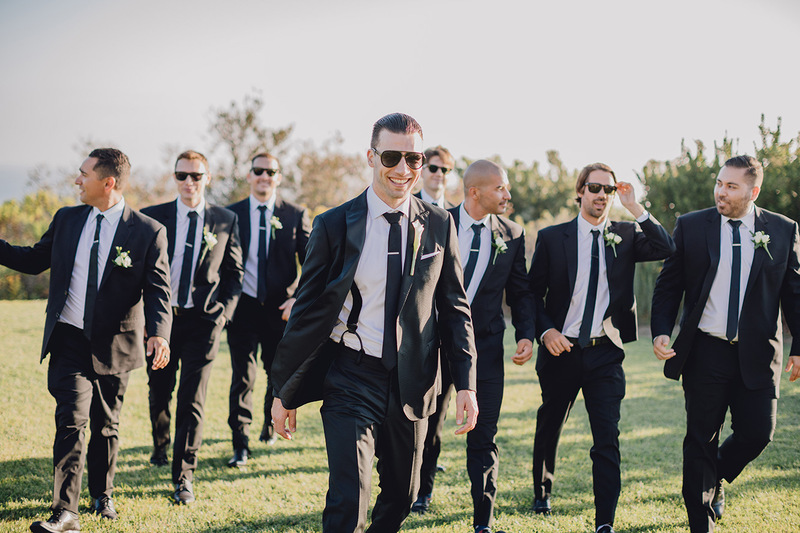 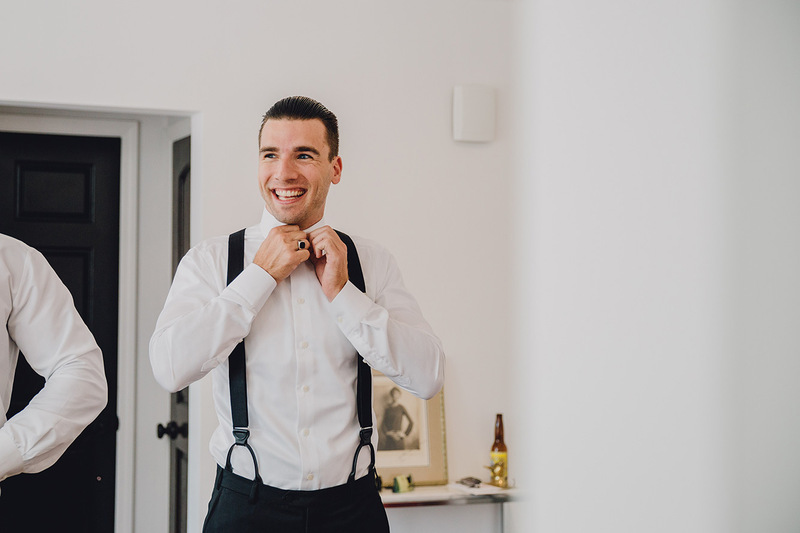 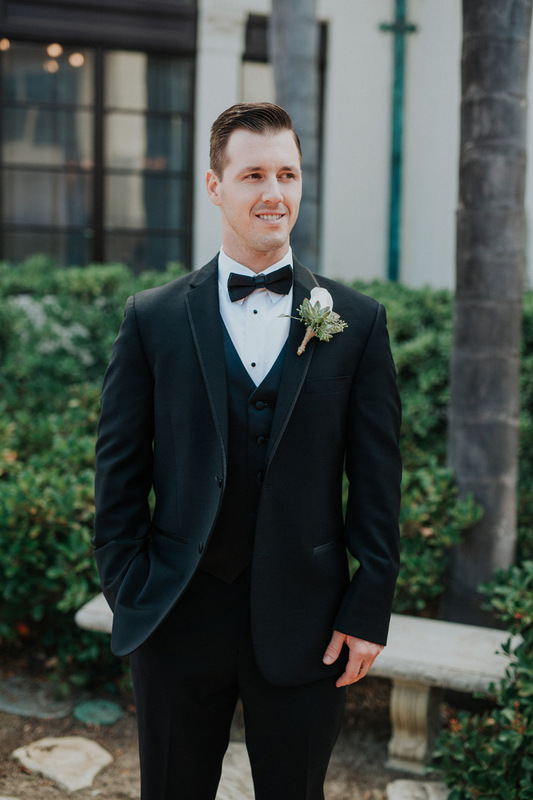 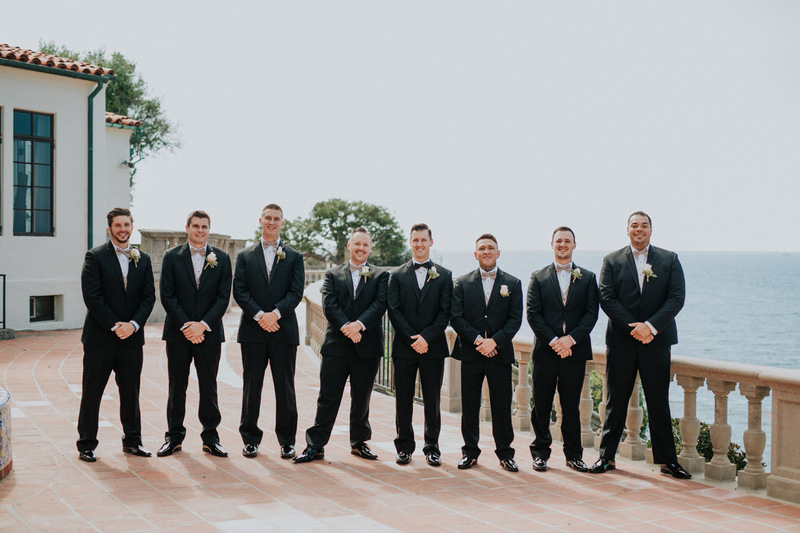 Even the groom and groomsmen choose jet black styles. 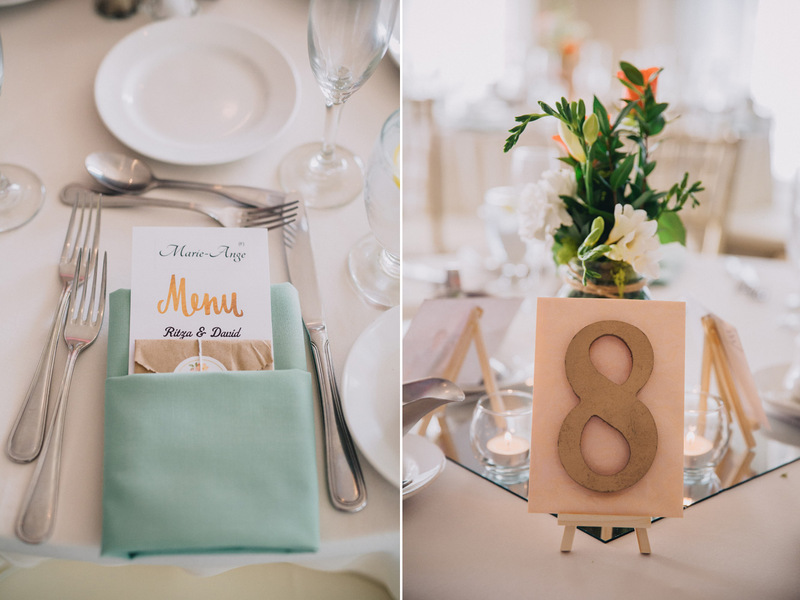 This is often an unusual colour choice, rarely seen at weddings. 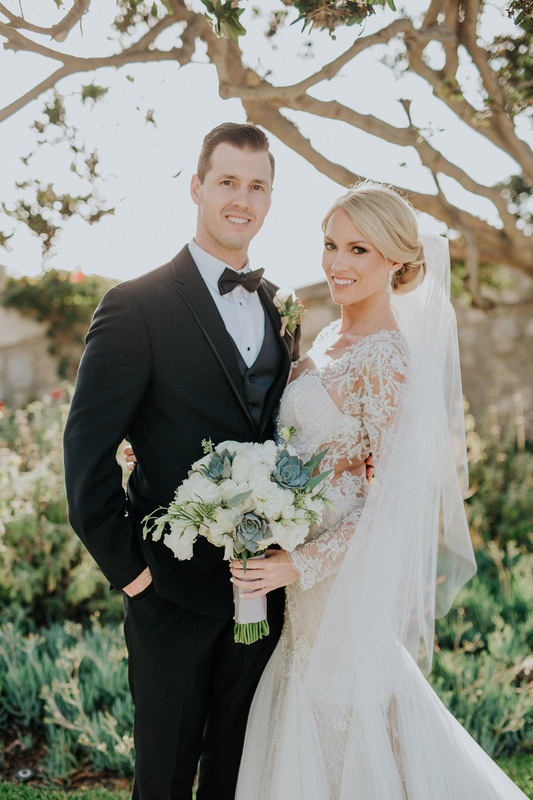 But here the combination of cream attire and floral bouquets against chic black shades elevates the event to a glamorous affair. 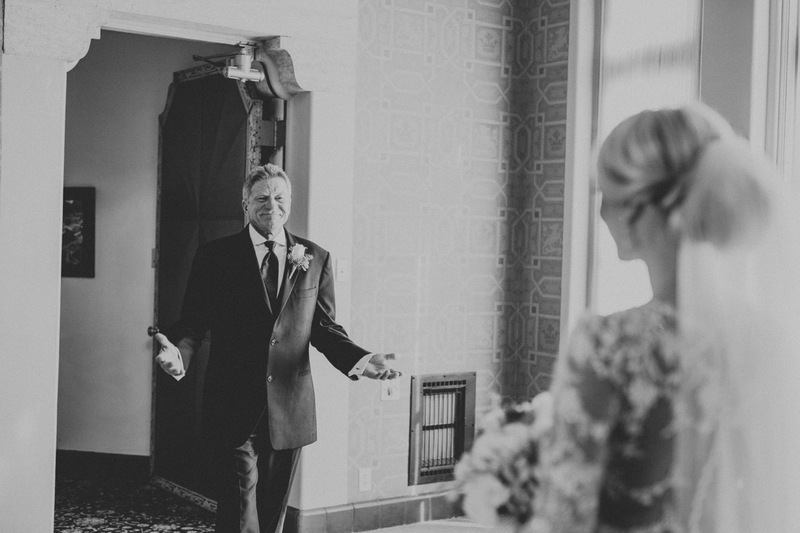 Not to mention, one which places the bride directly in the spotlight. 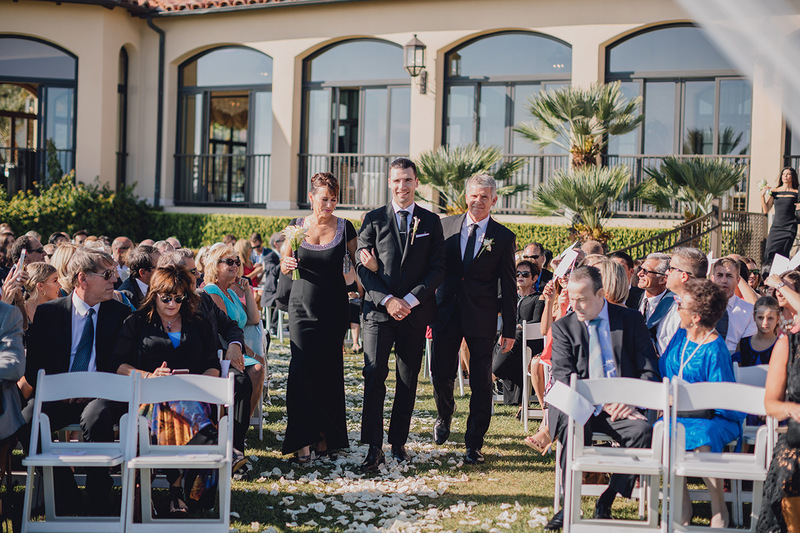 On arrival at the wedding ceremony, small details add a thoughtful touch. 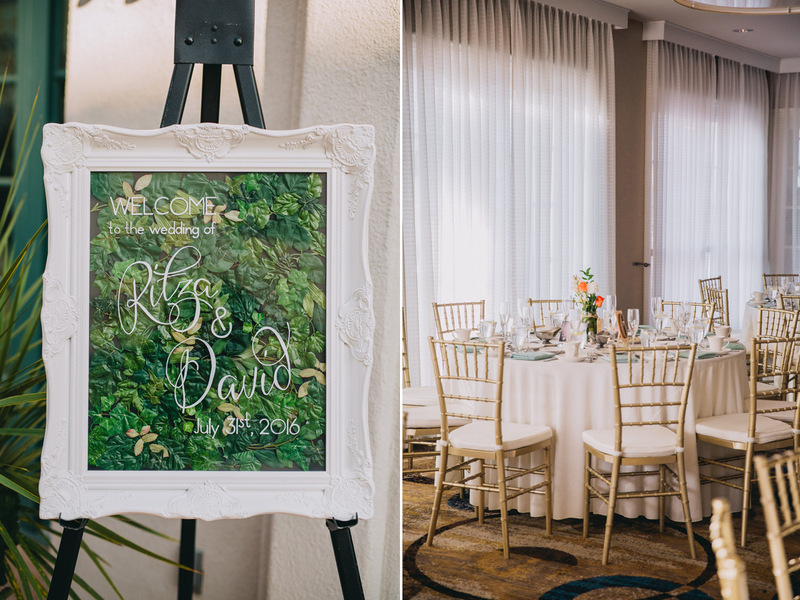 Framed prints thank guests for supporting the happy couple during this special time. 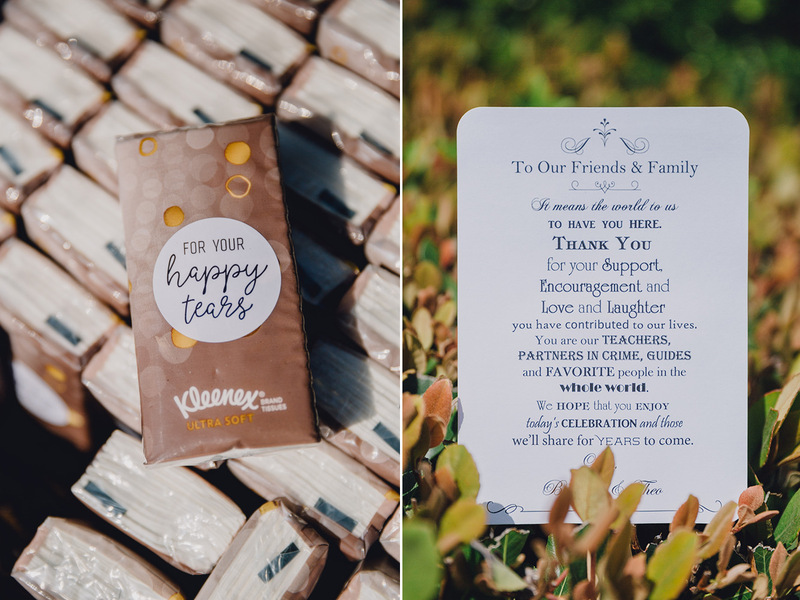 Pocket tissues are also available to take – each personalised with the quote ‘for your happy tears’. 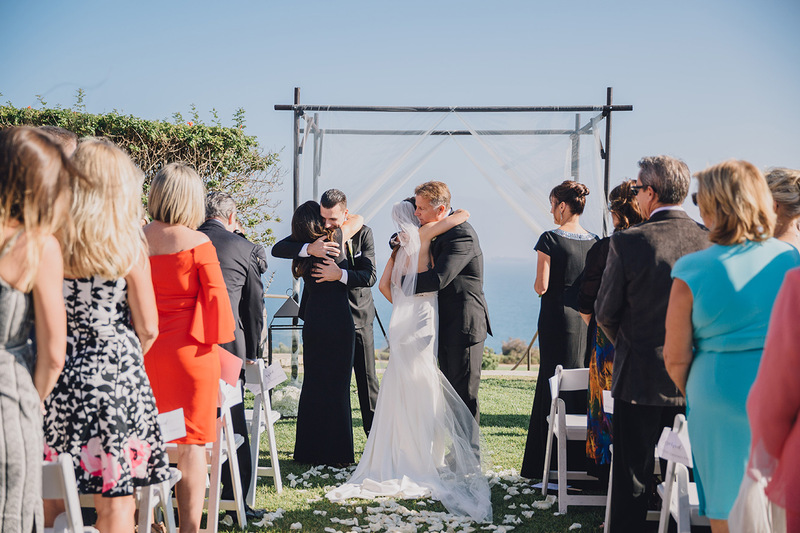 As guests seat themselves in front of the archway – draped in sheer white fabric – the tissues don’t seem such a bad idea! 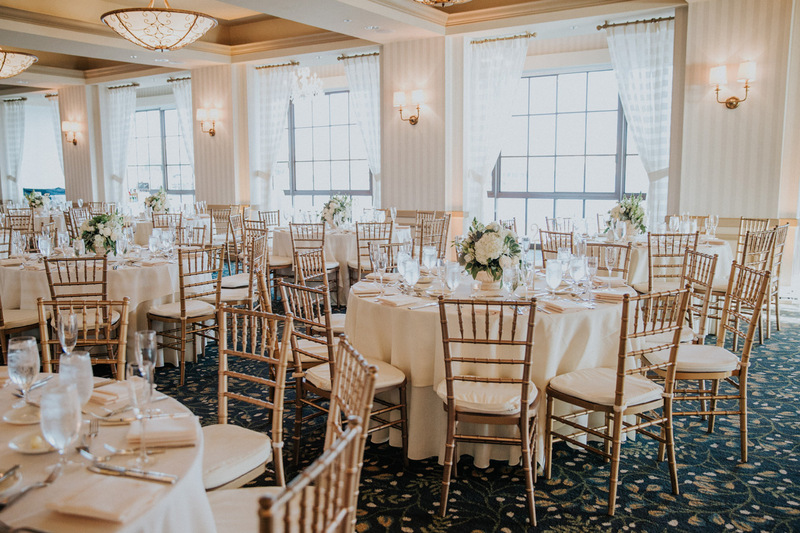 With 180 degrees of picturesque coastline and sparkling Pacific Ocean to admire, The Trump Golf Club leaves every attendee short of breath. 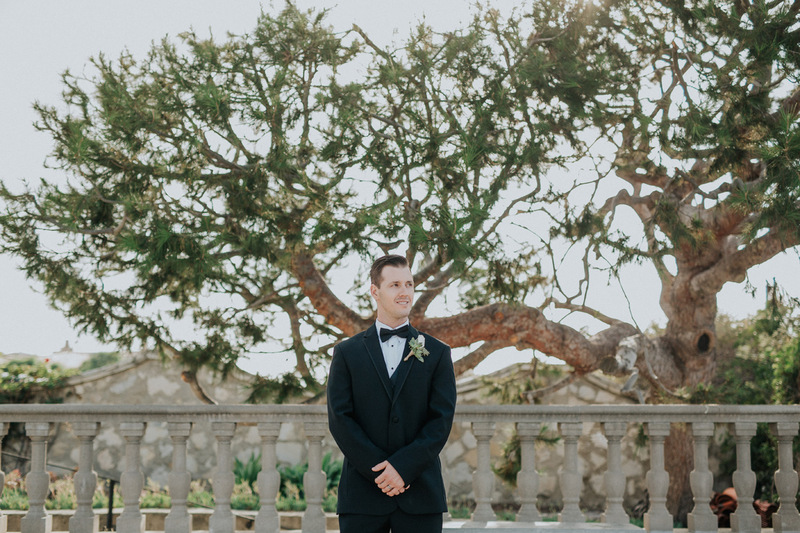 After shooting wedding imagery on the edge of the Palos Verdes bluff, it’s time for the reception to begin. 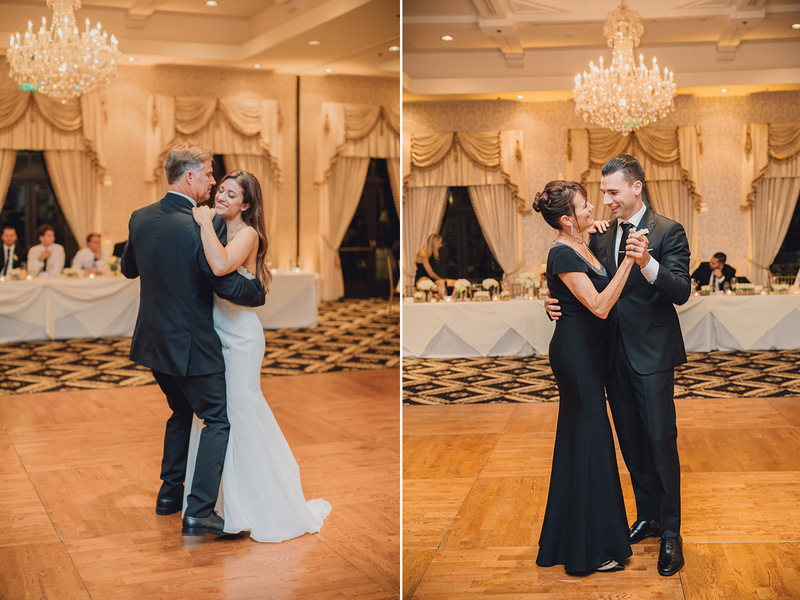 Held inside The Golf Club’s Grand Ballroom, the existing décor needs not much else for the event to sparkle. 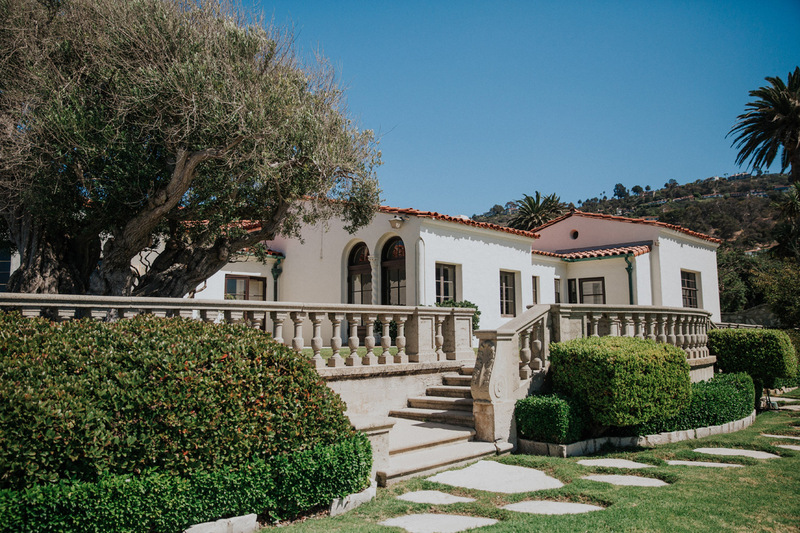 Lavish drapery sweeps over the French doors. 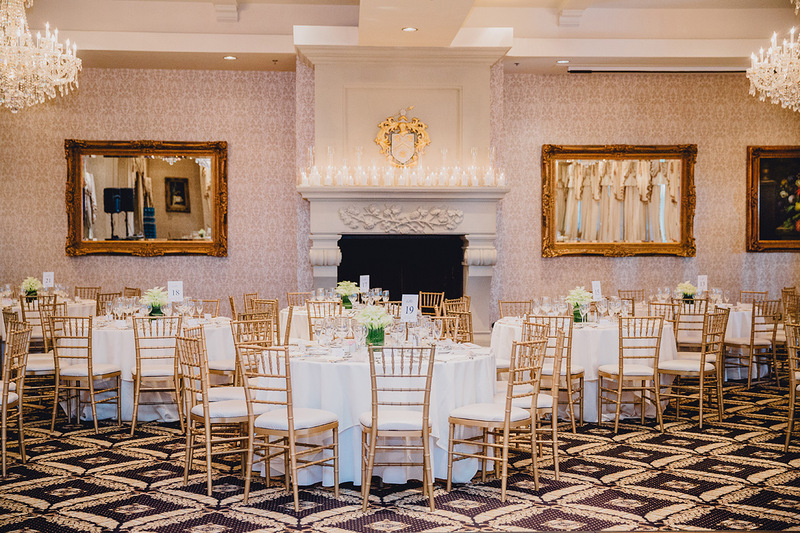 Whilst gold framed mirrors and crystal chandeliers adds decadence to the scene. 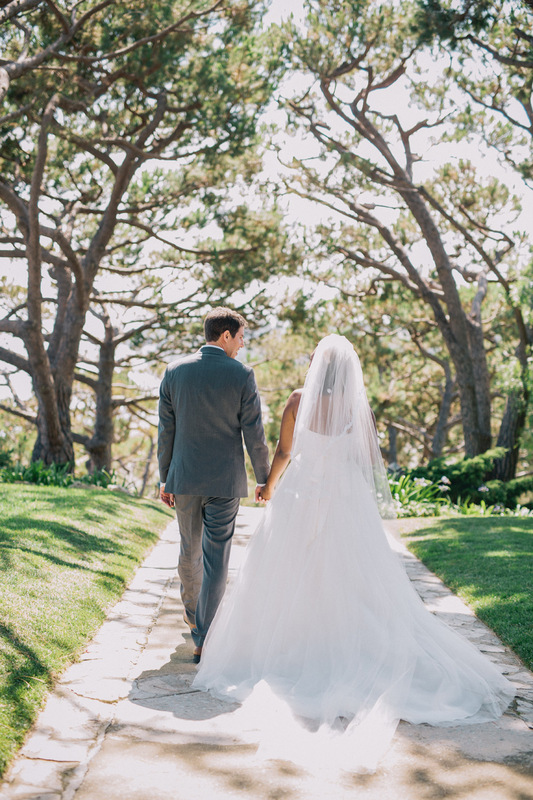 All in all, you may as well have stumbled upon a fairy-tale! 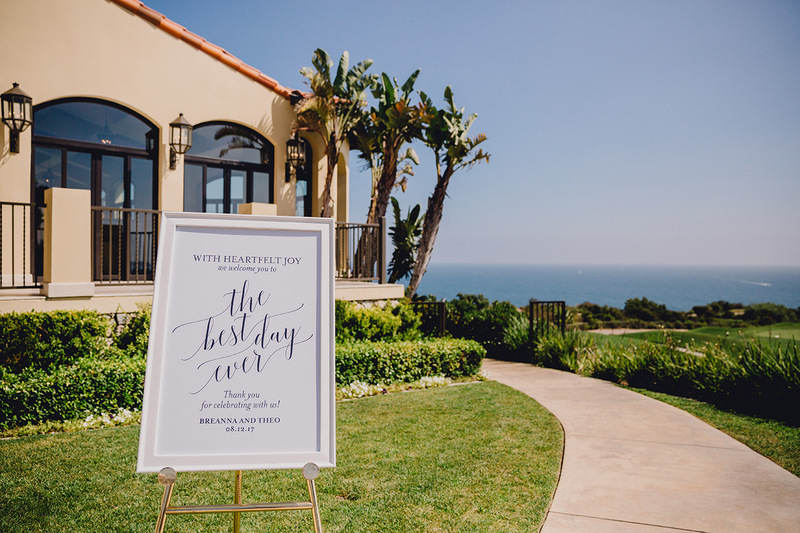 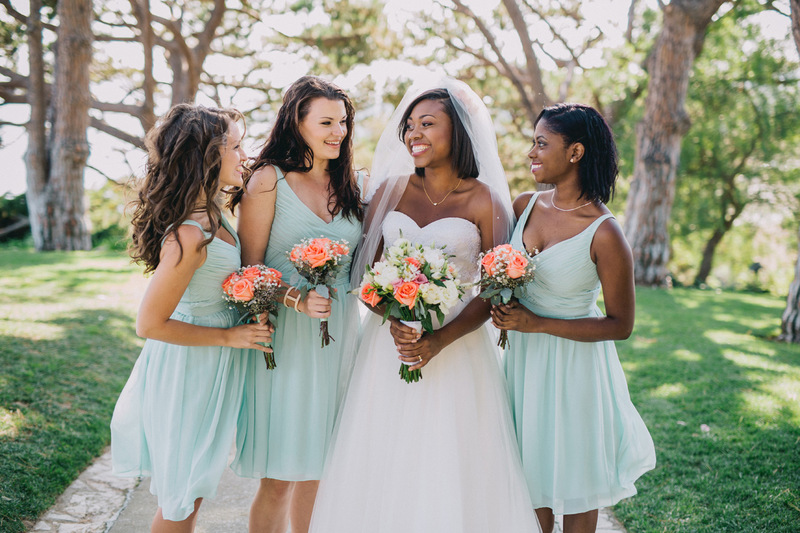 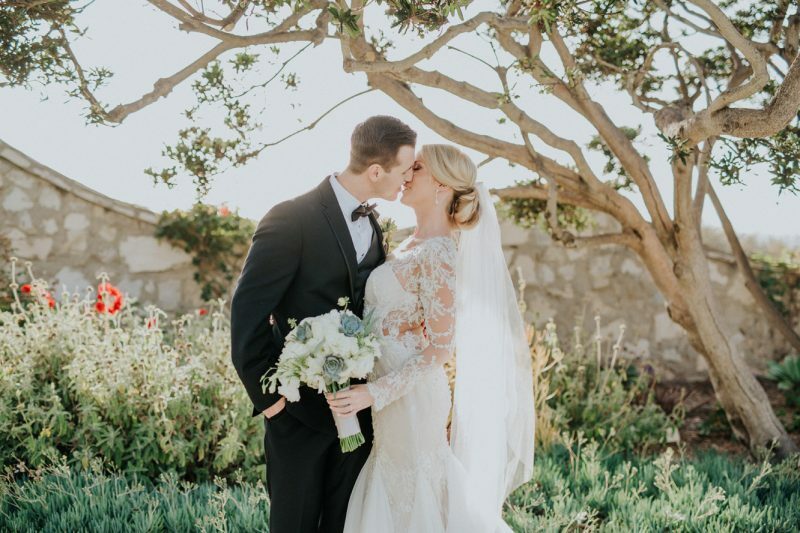 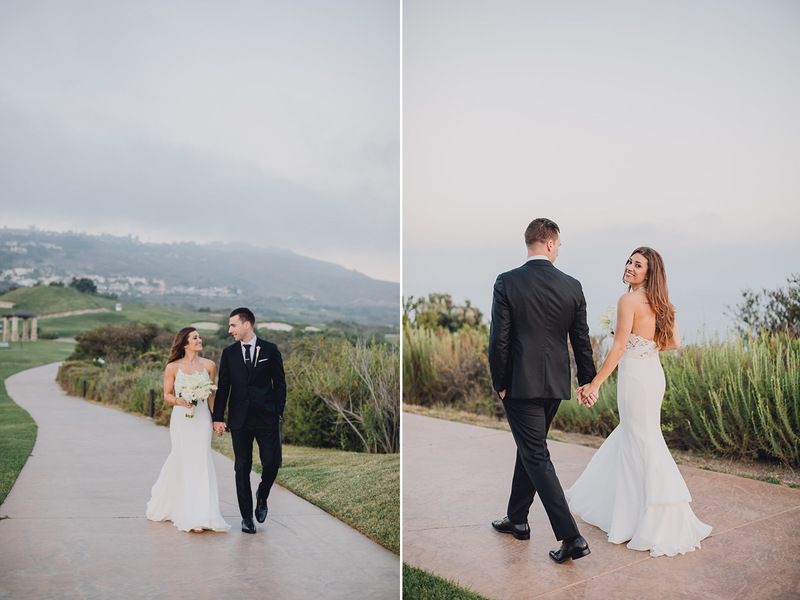 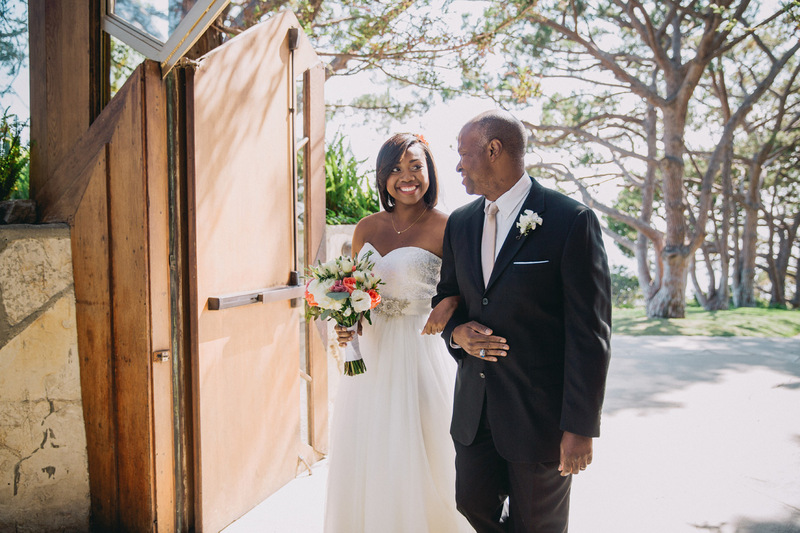 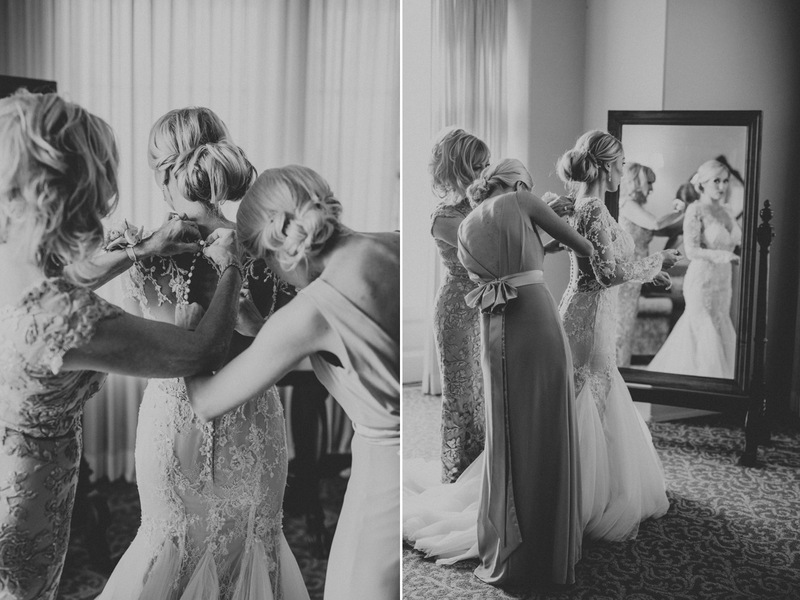 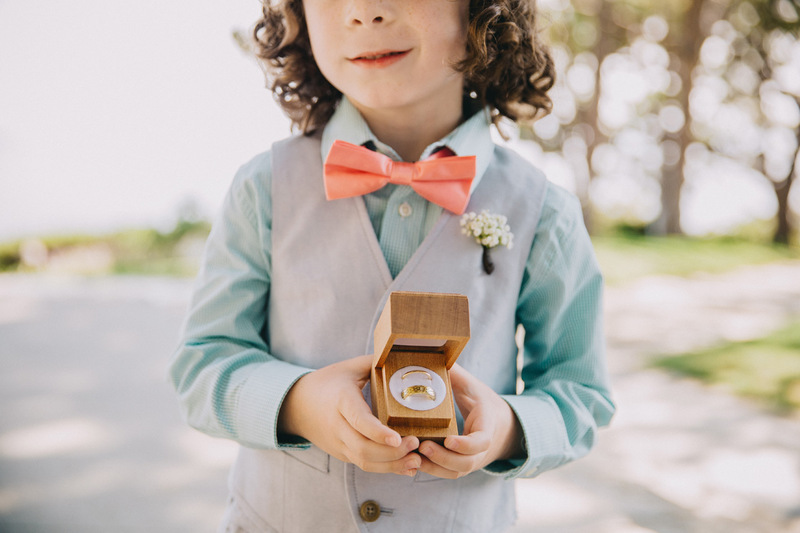 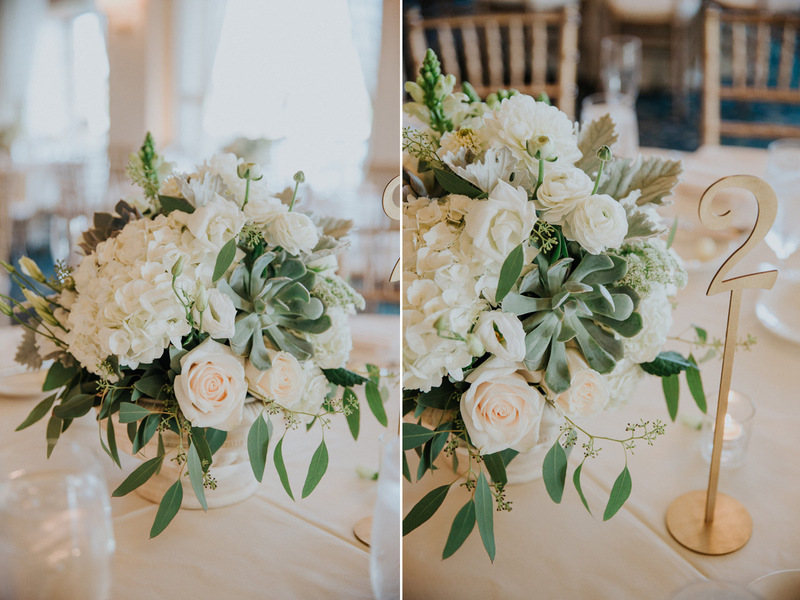 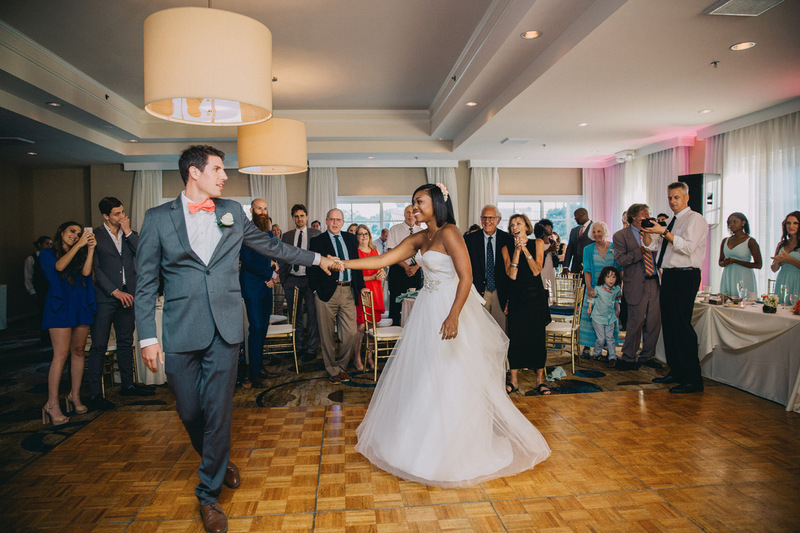 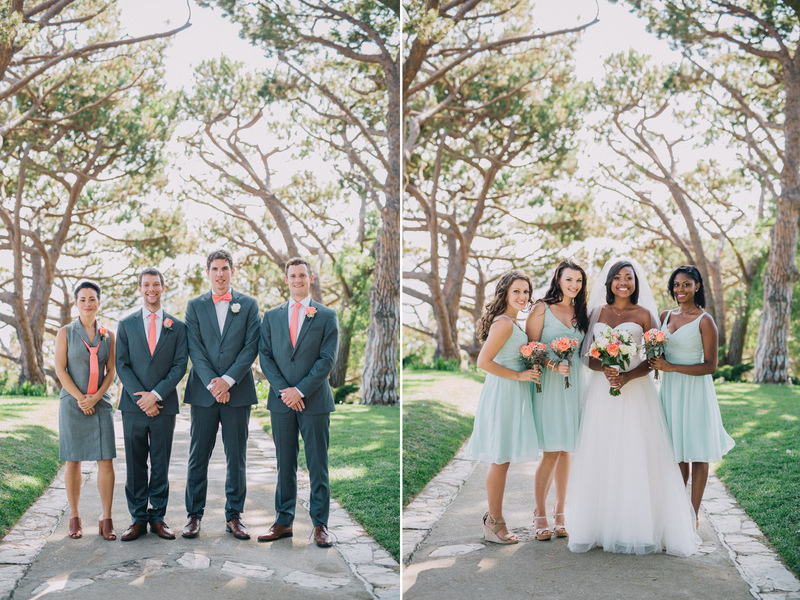 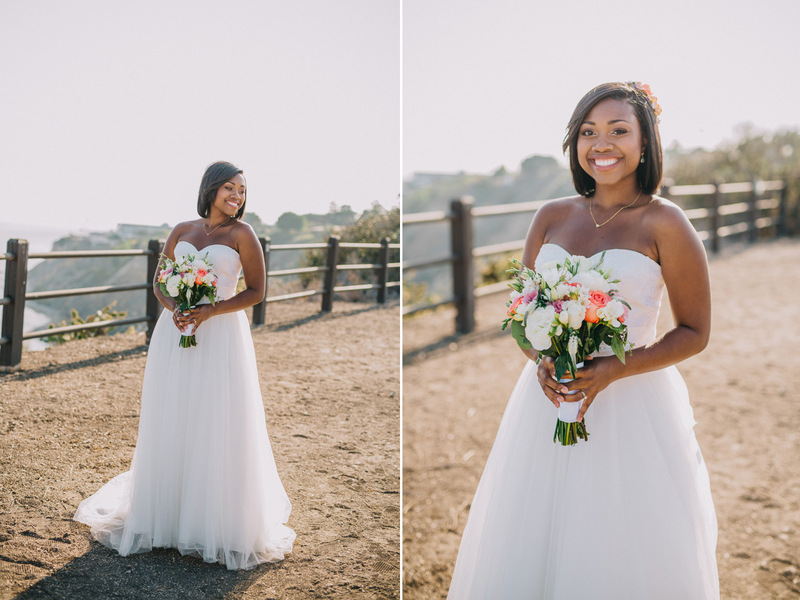 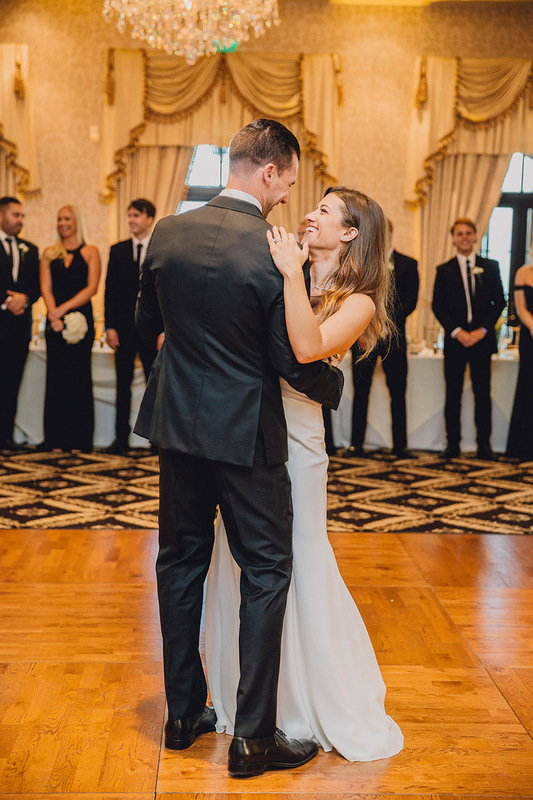 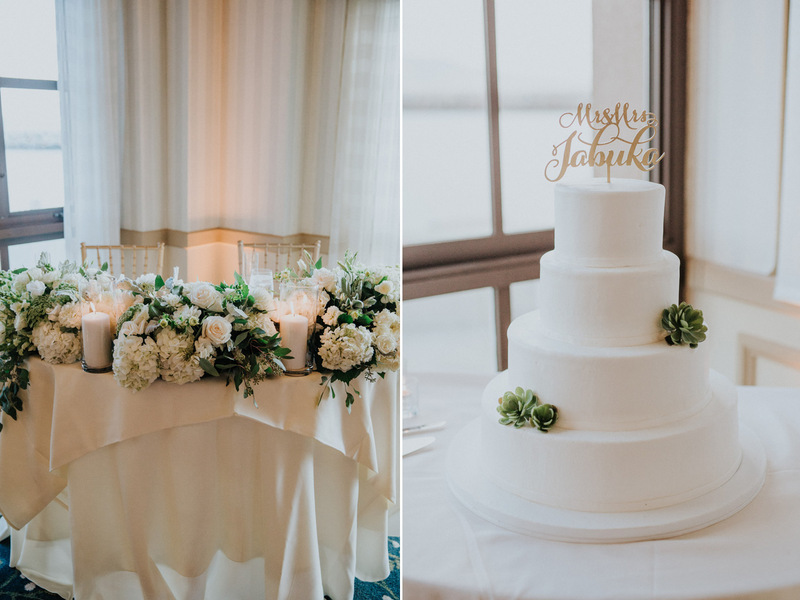 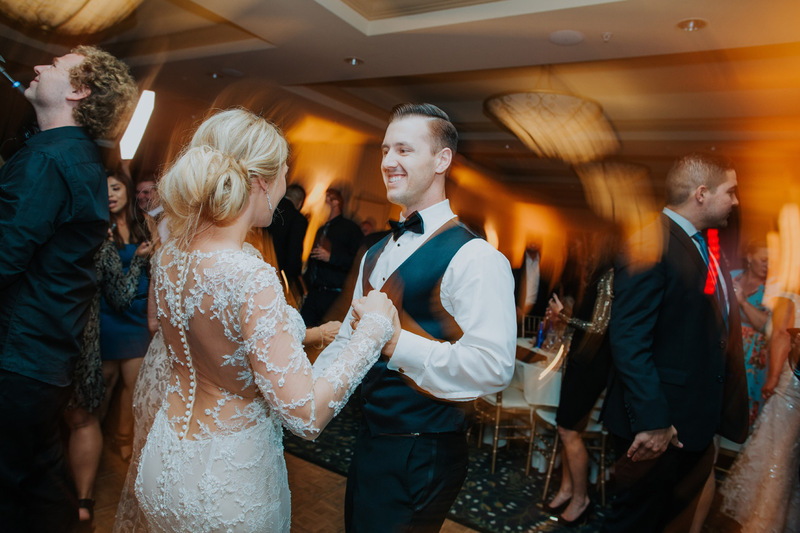 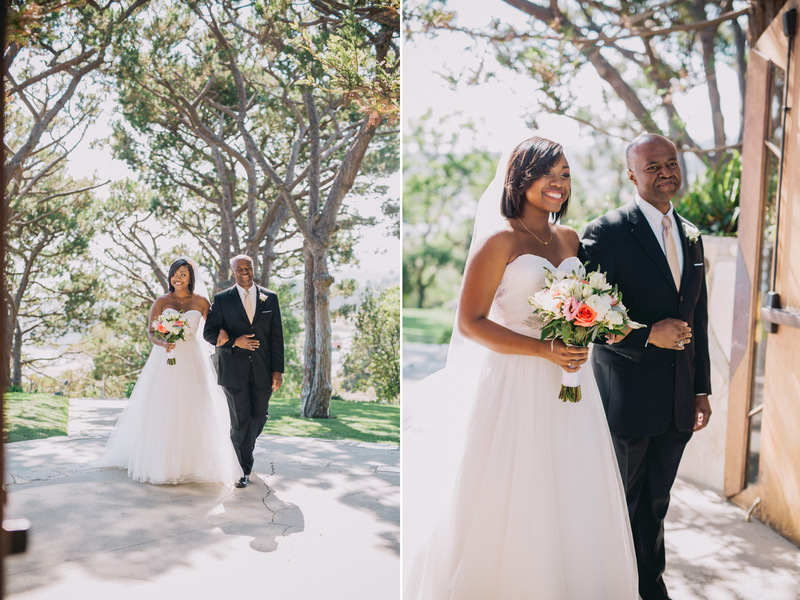 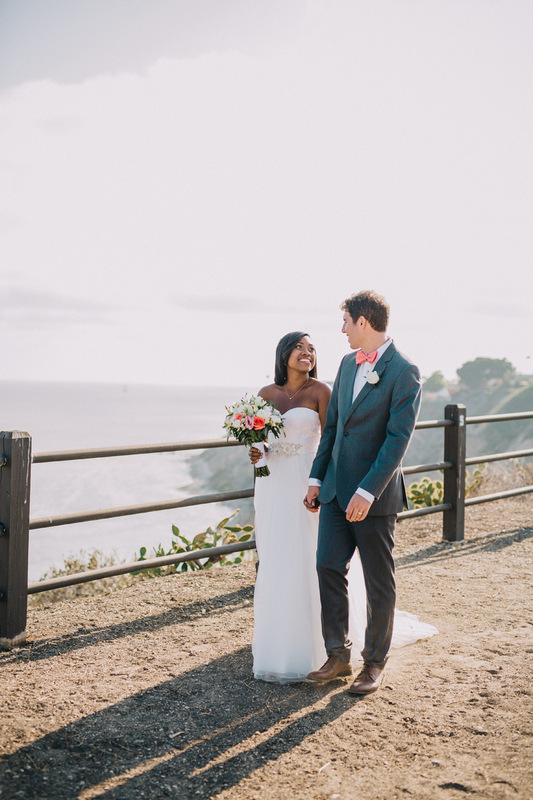 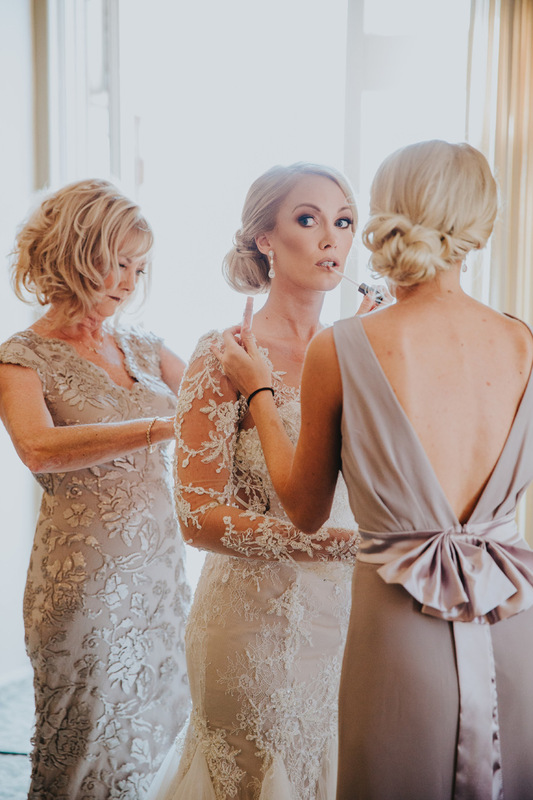 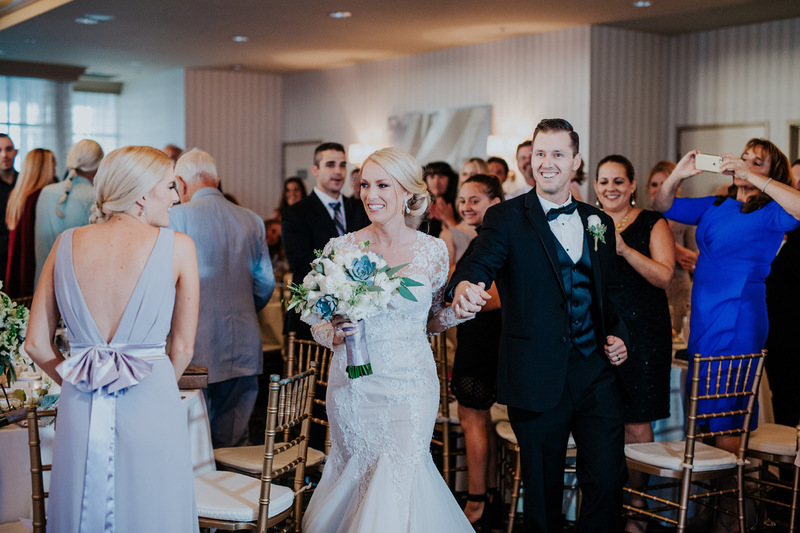 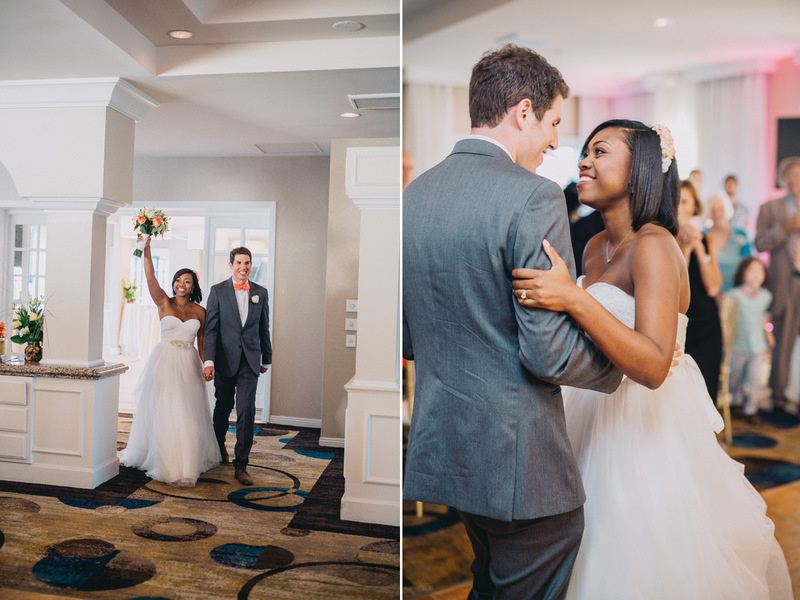 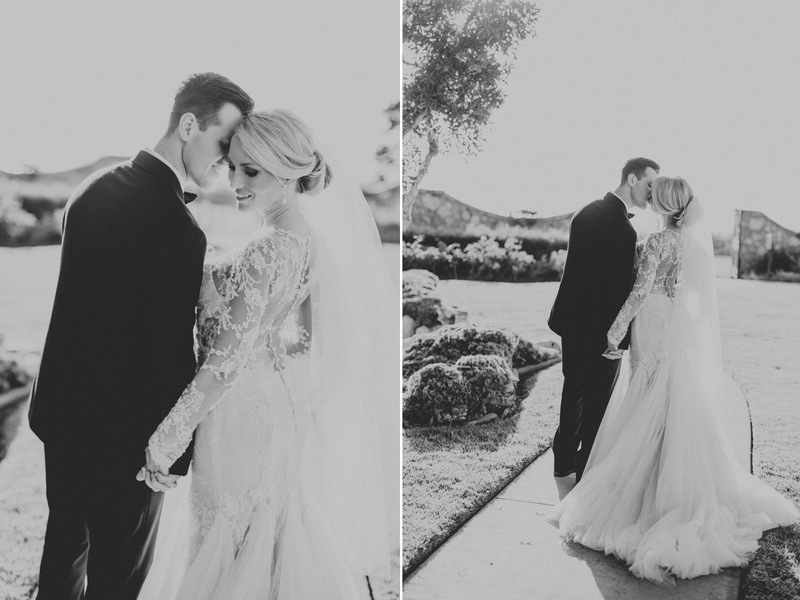 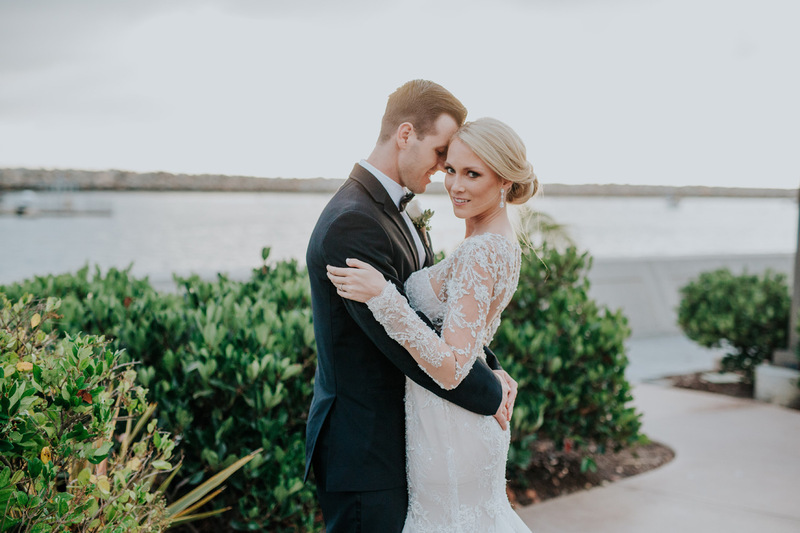 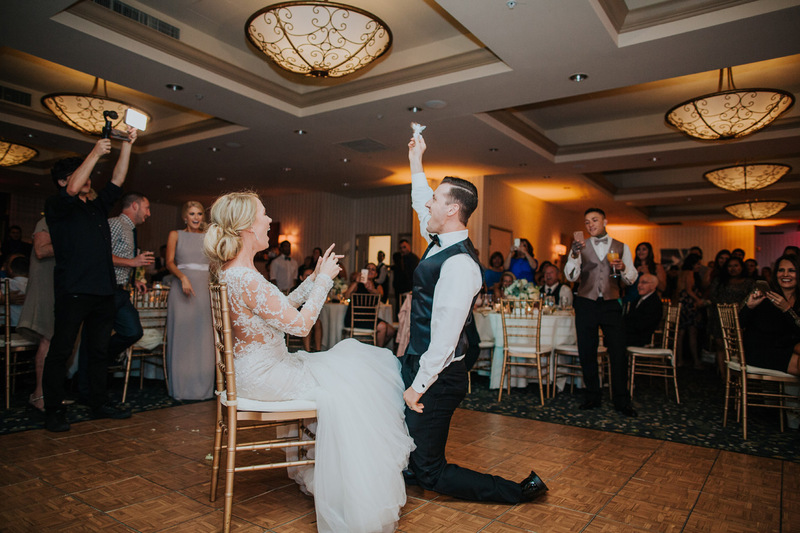 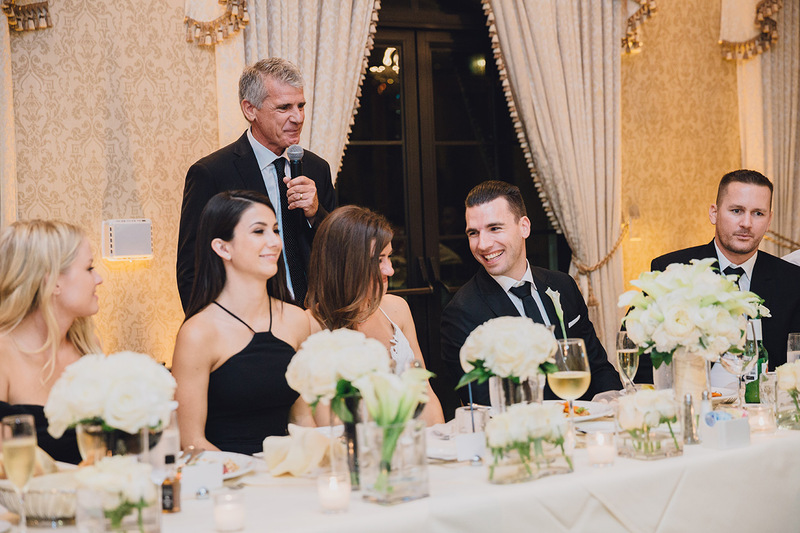 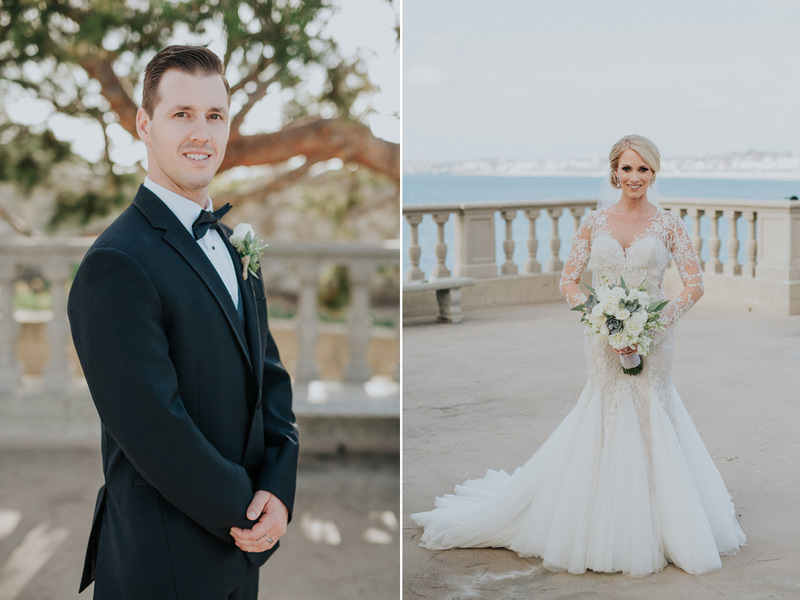 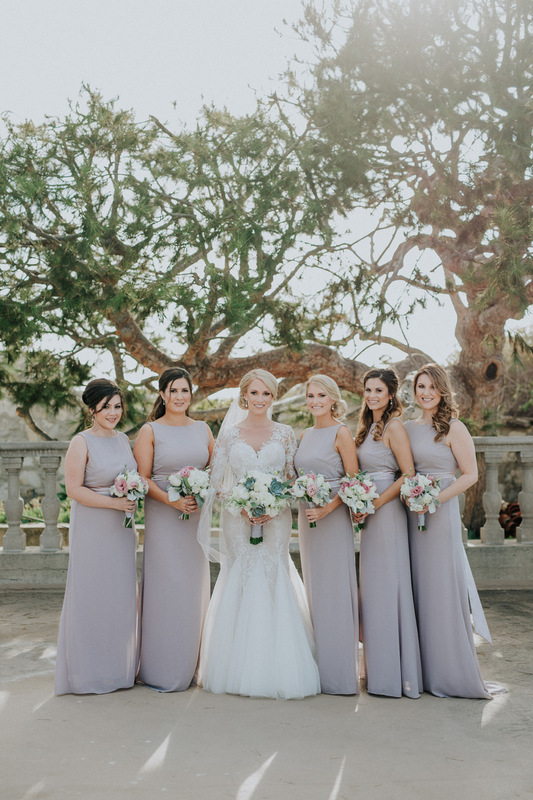 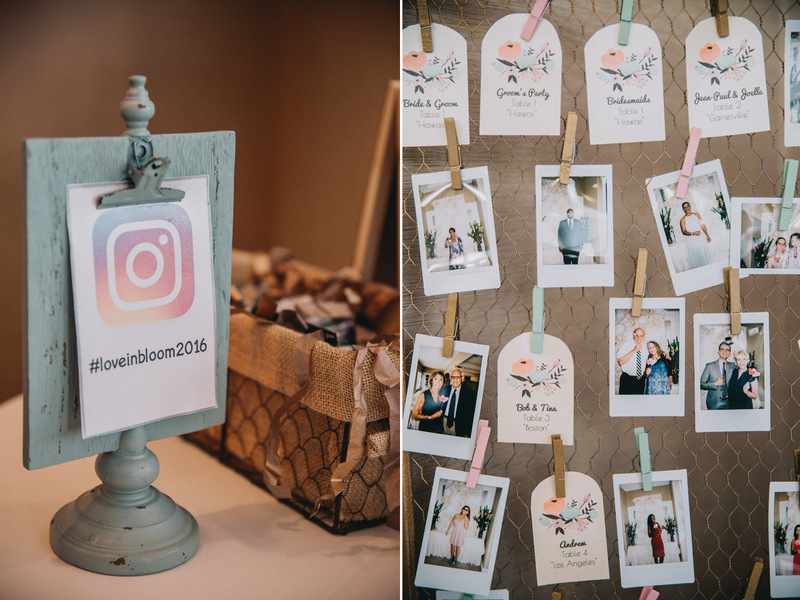 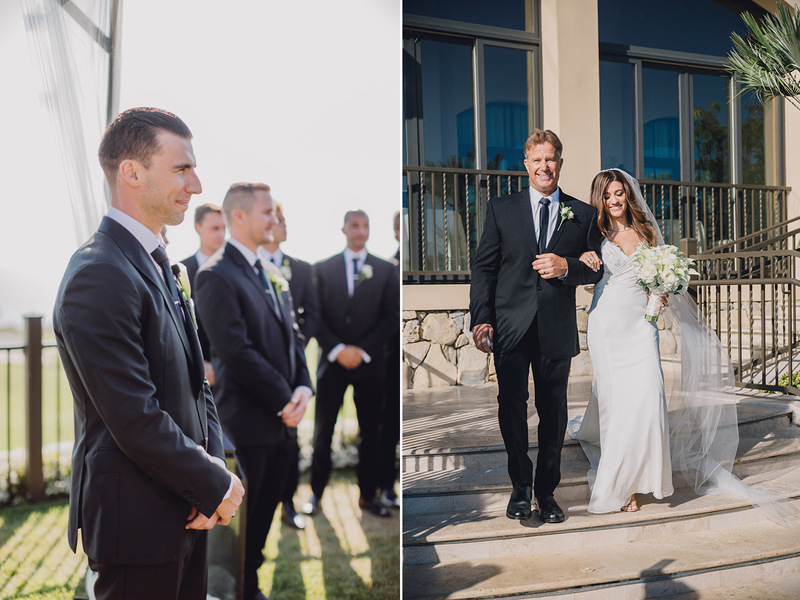 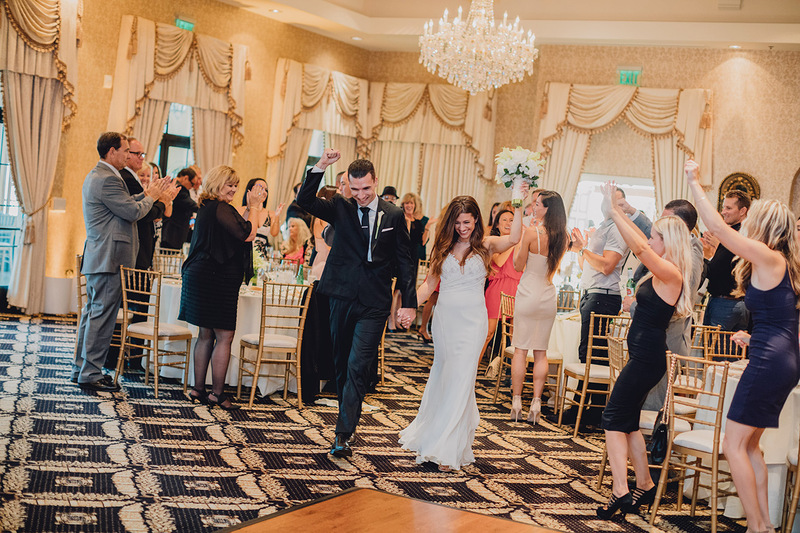 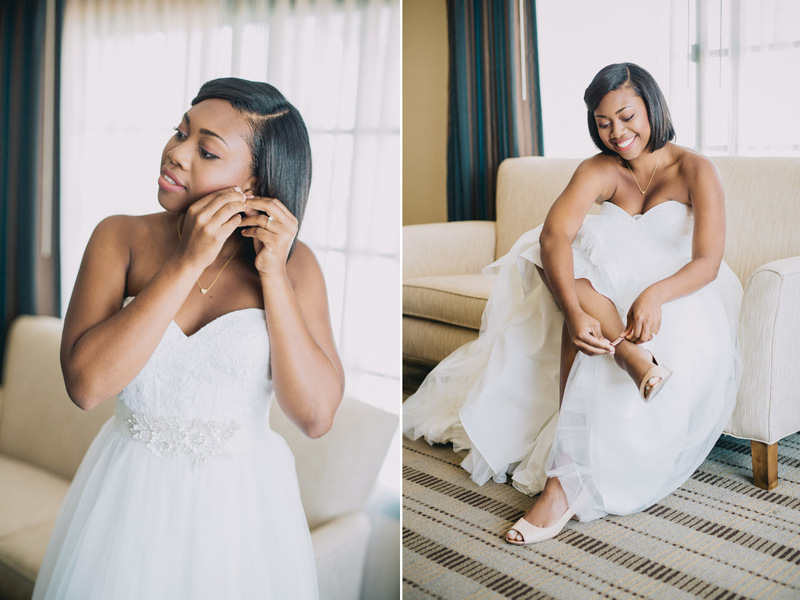 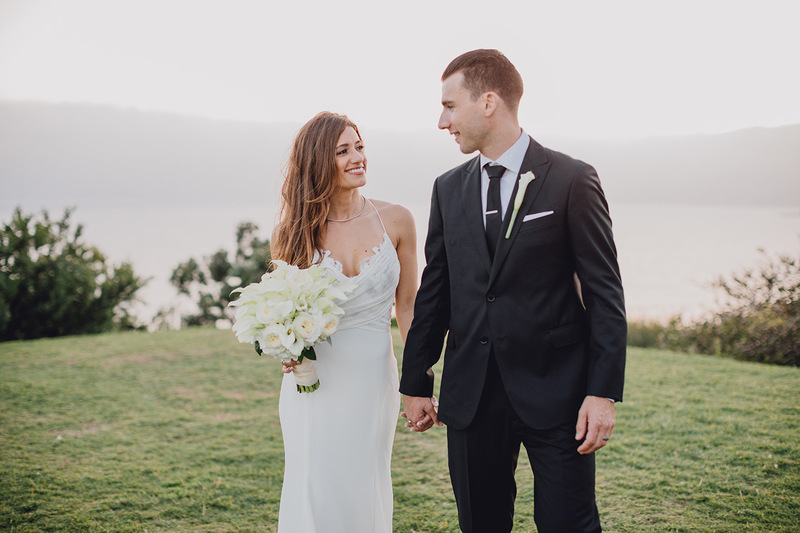 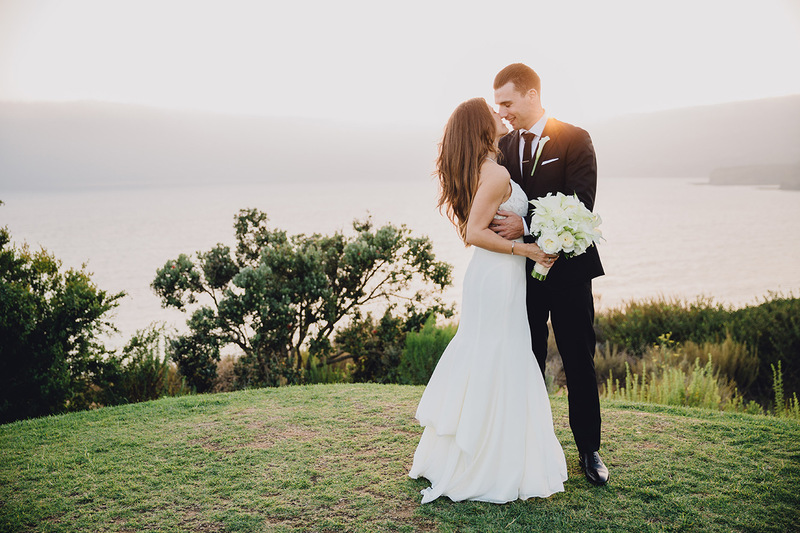 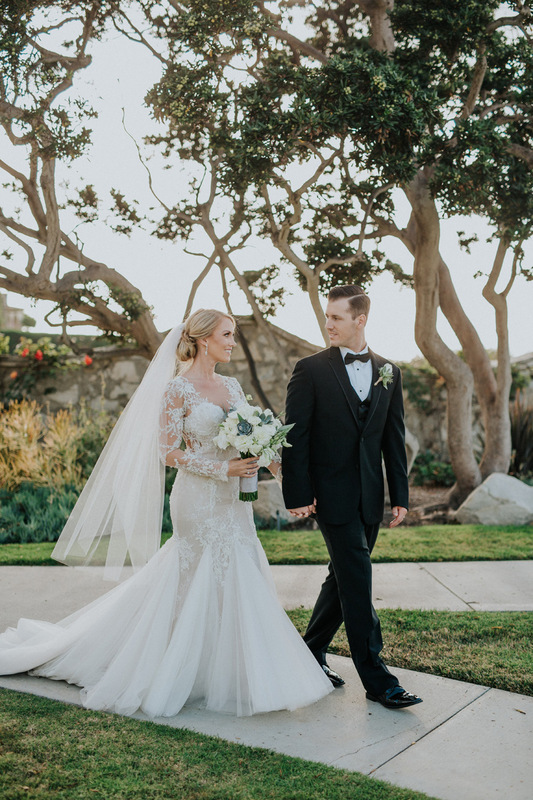 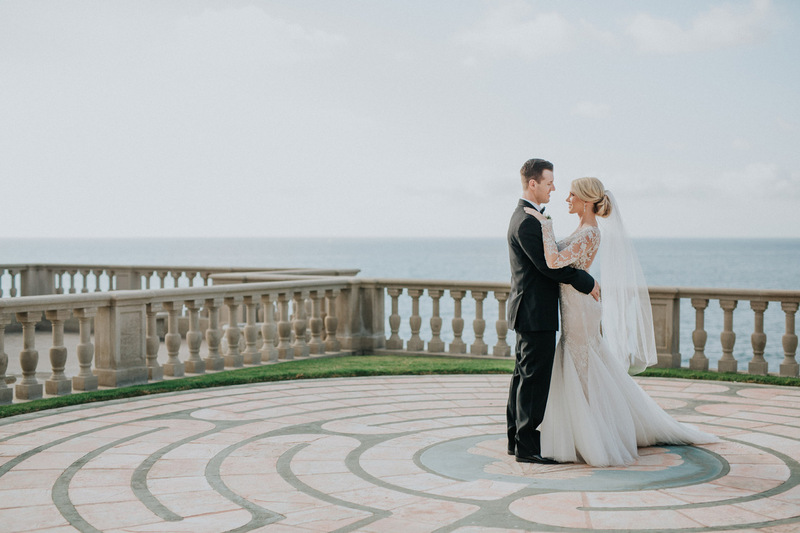 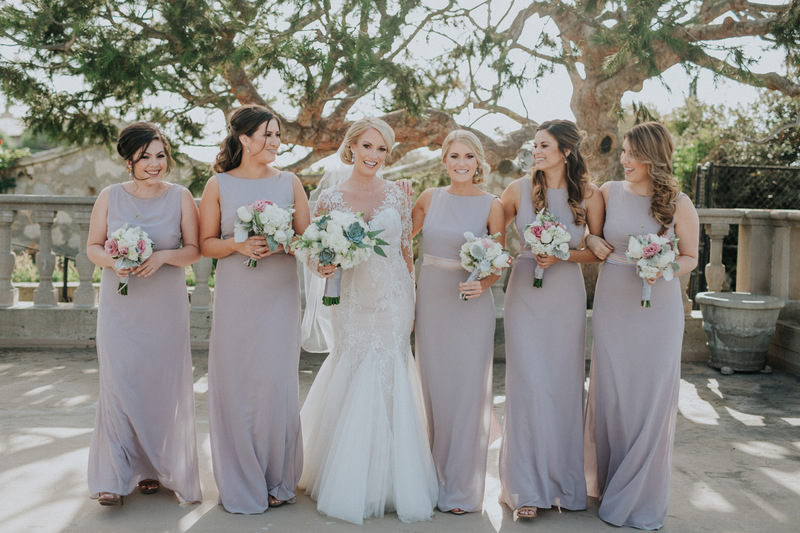 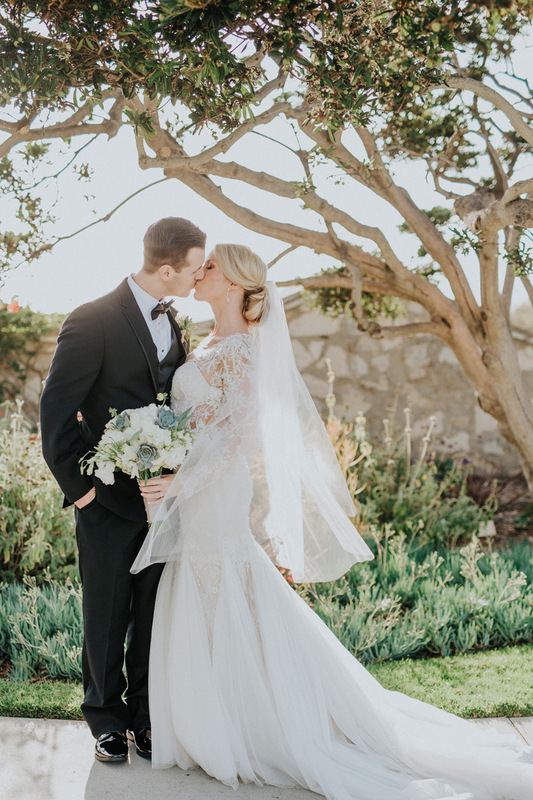 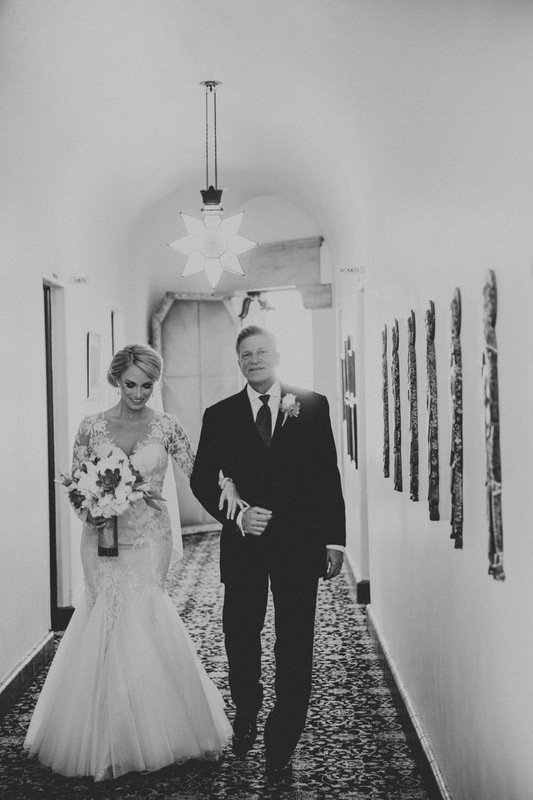 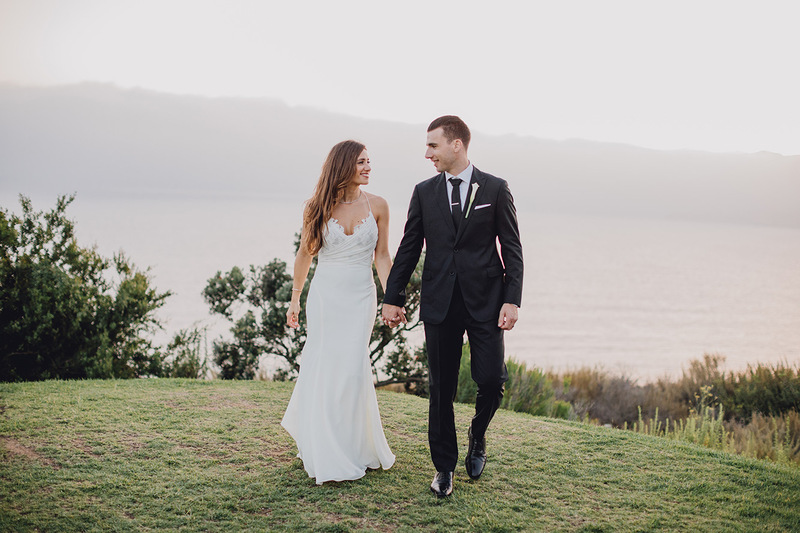 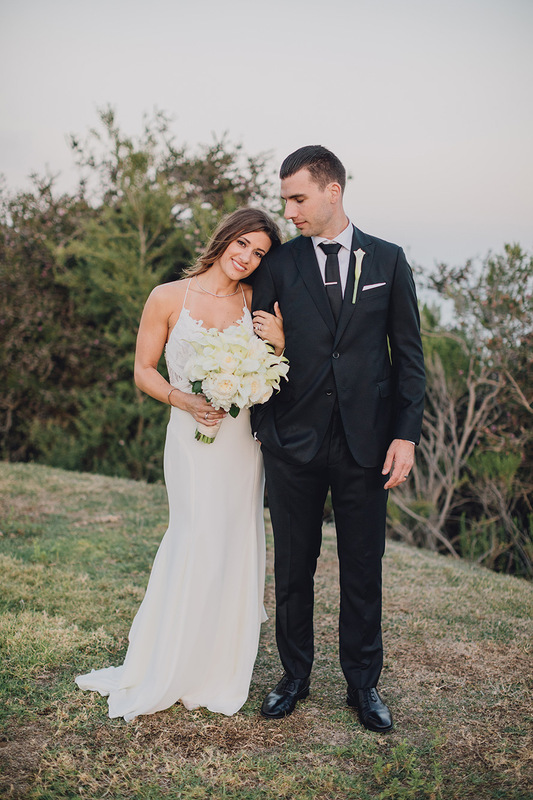 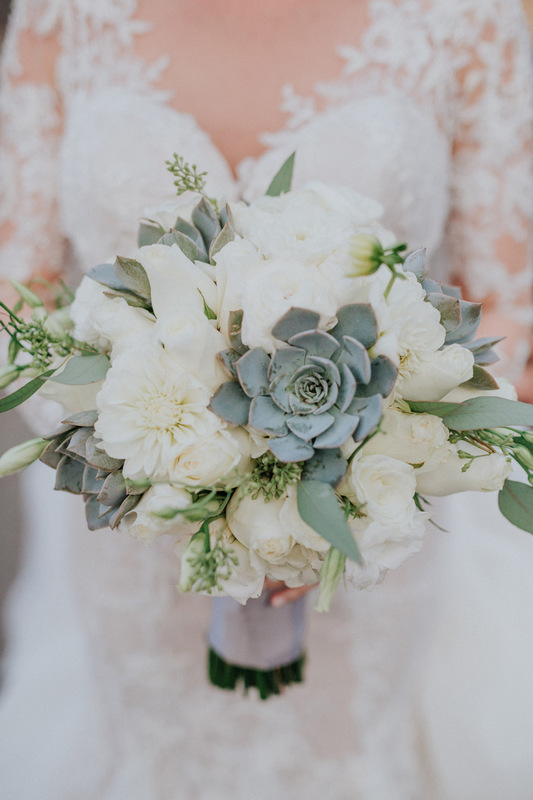 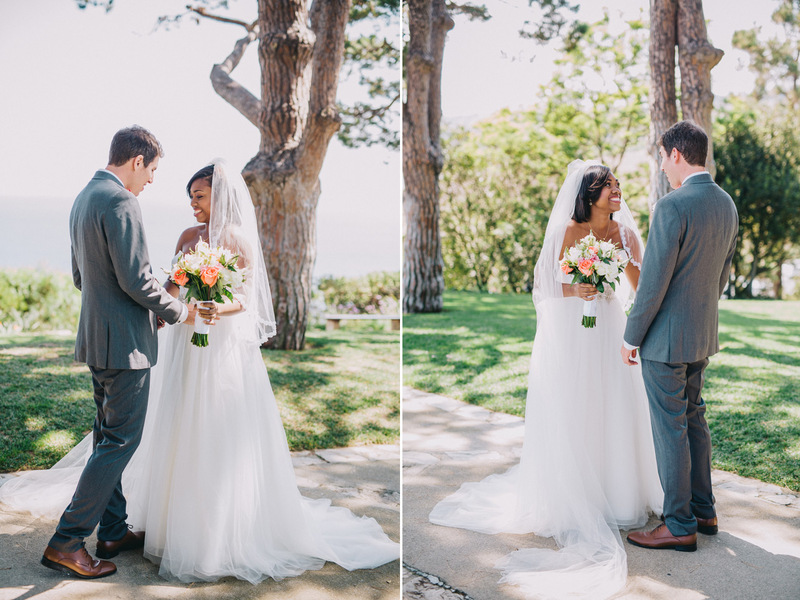 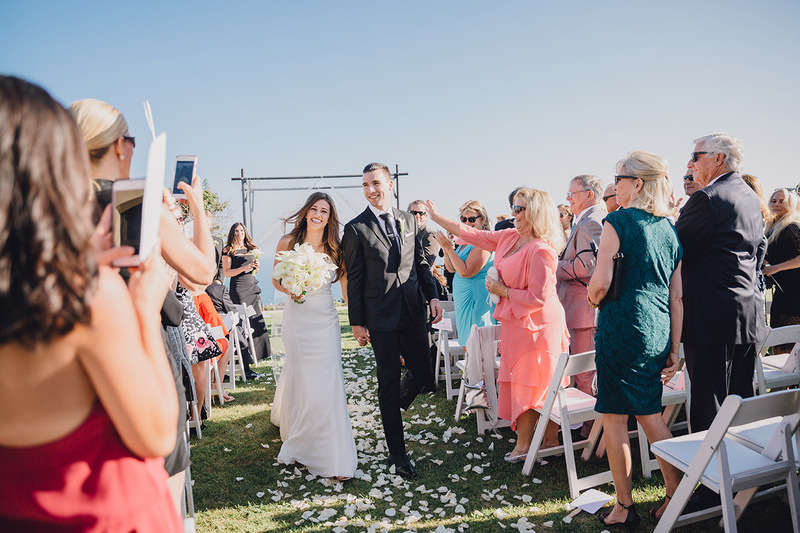 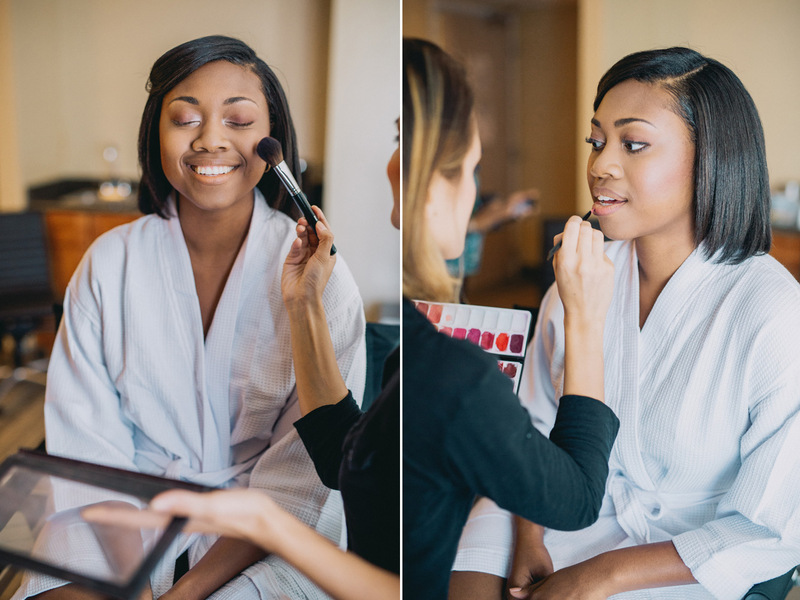 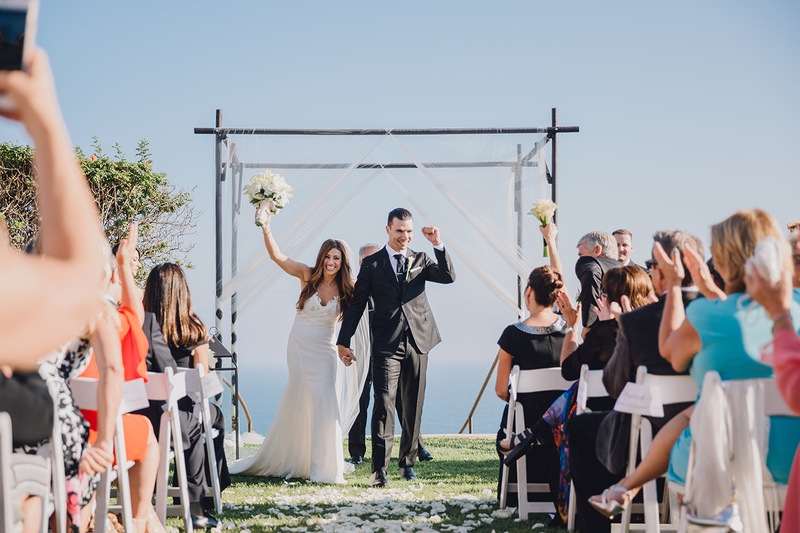 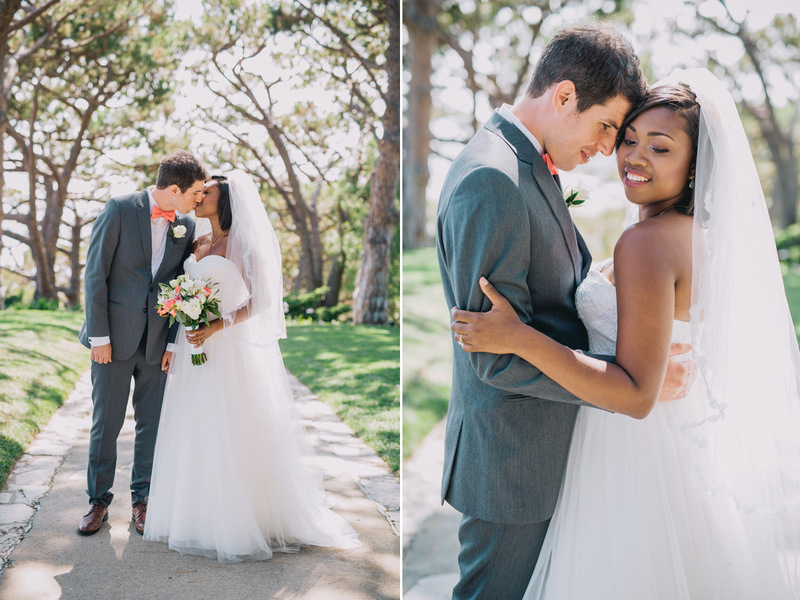 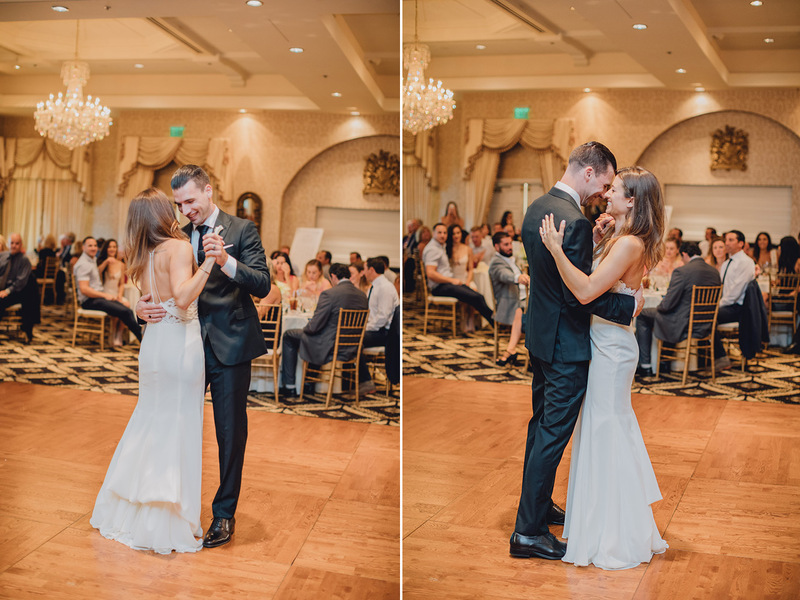 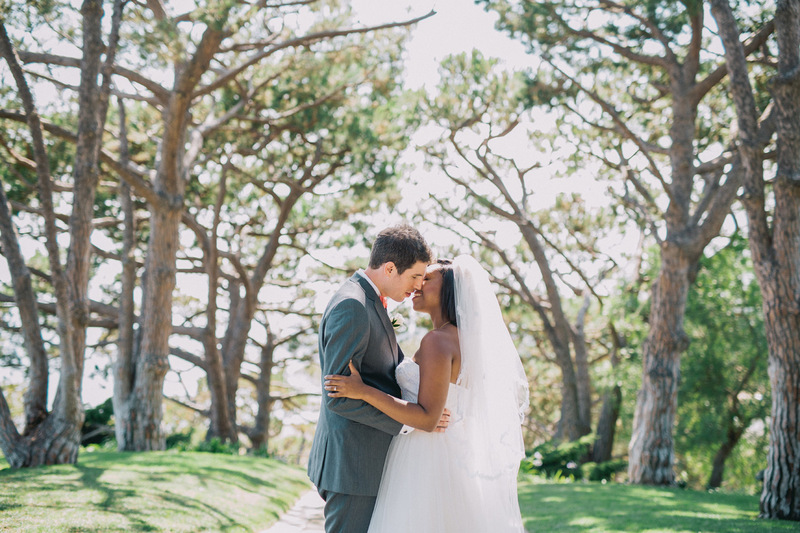 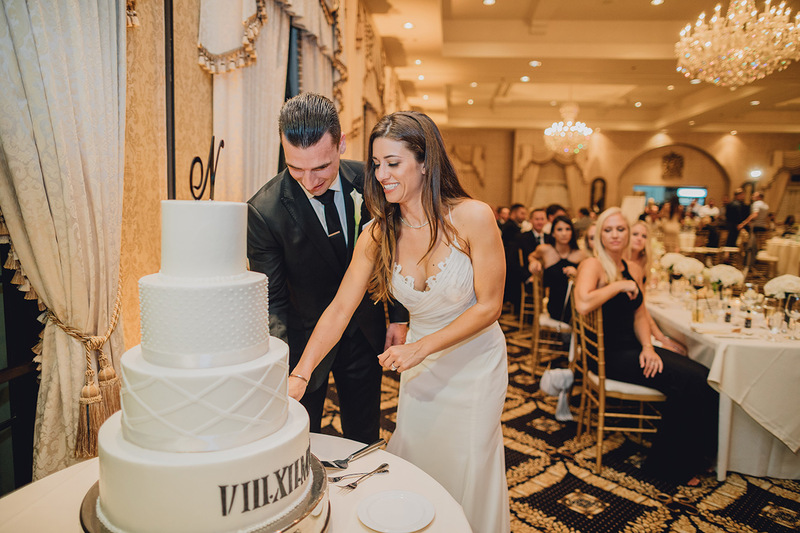 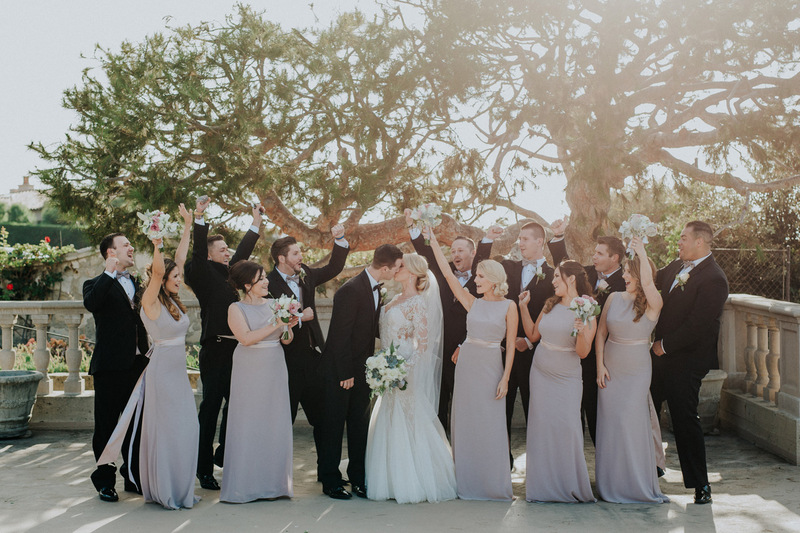 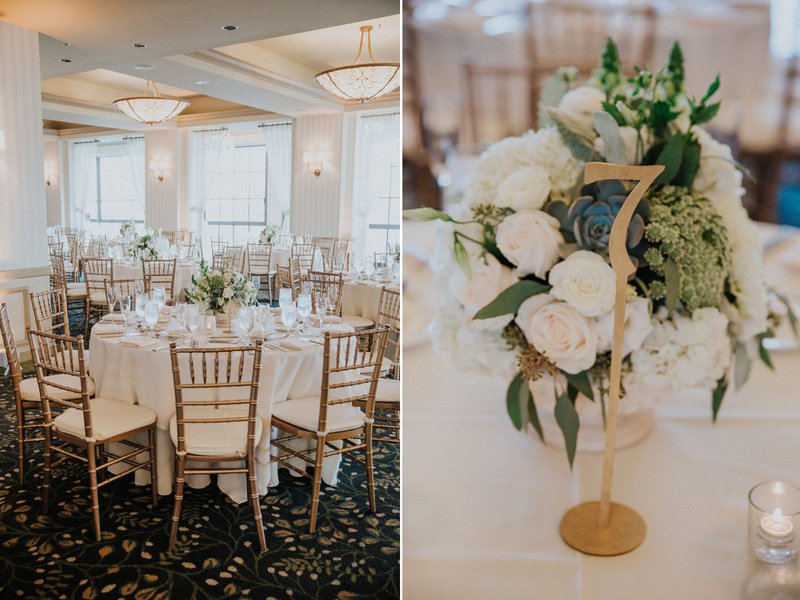 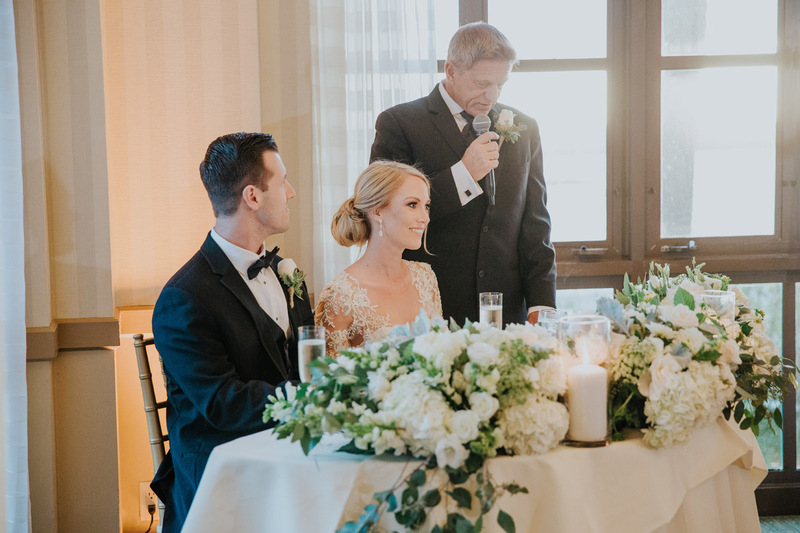 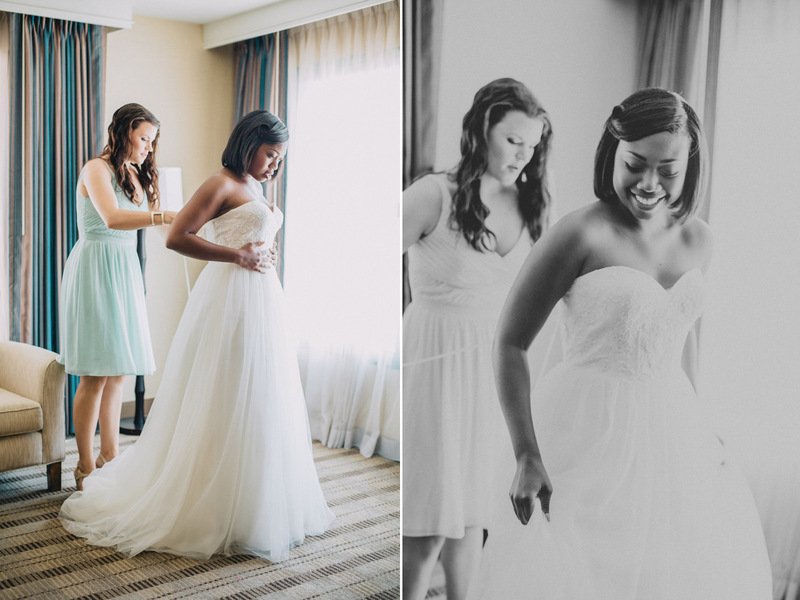 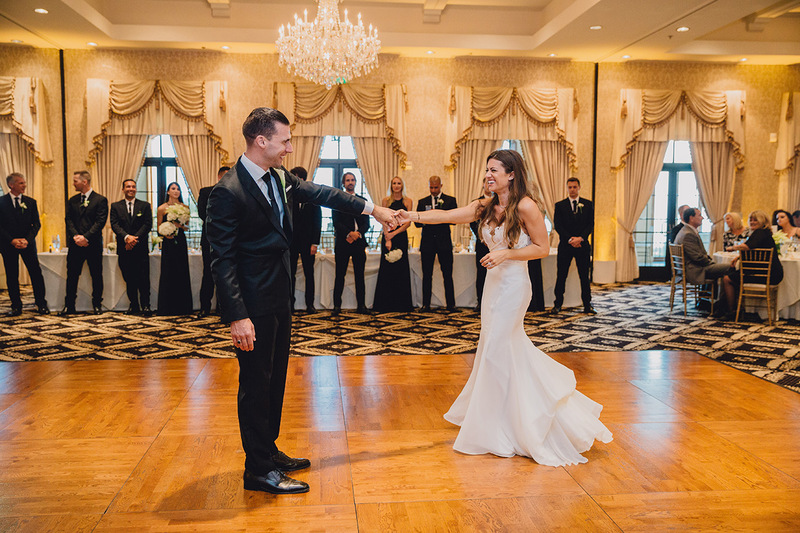 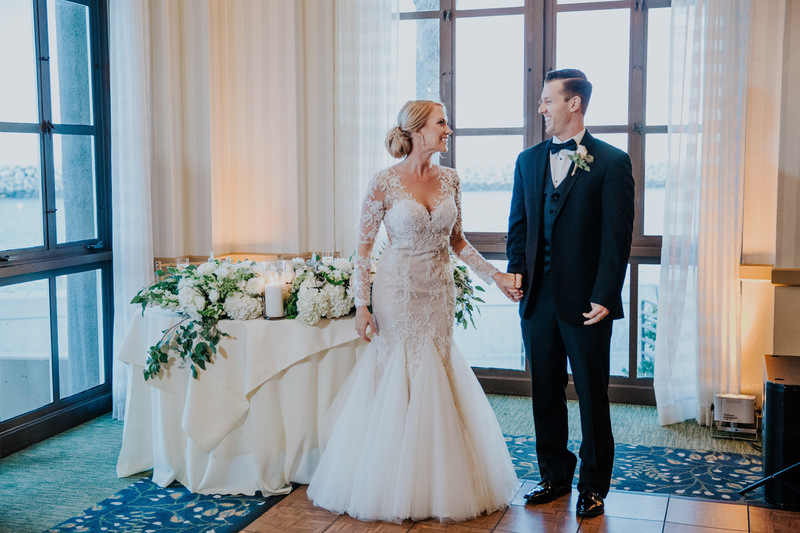 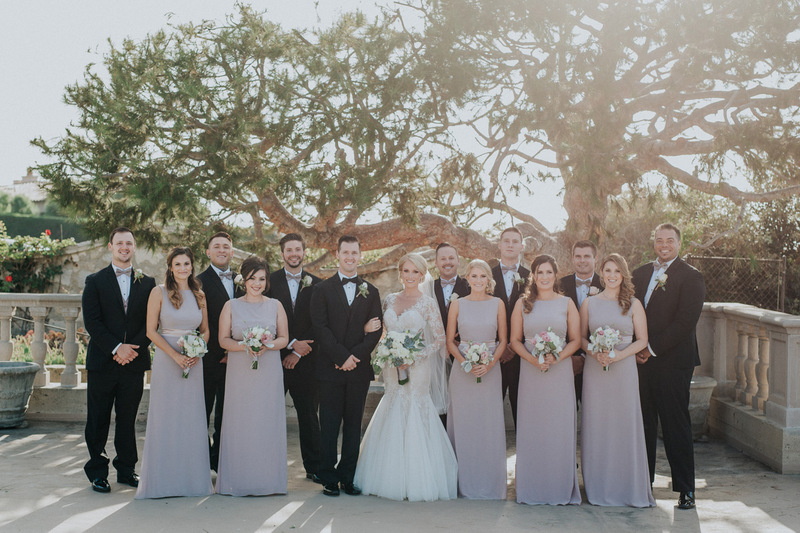 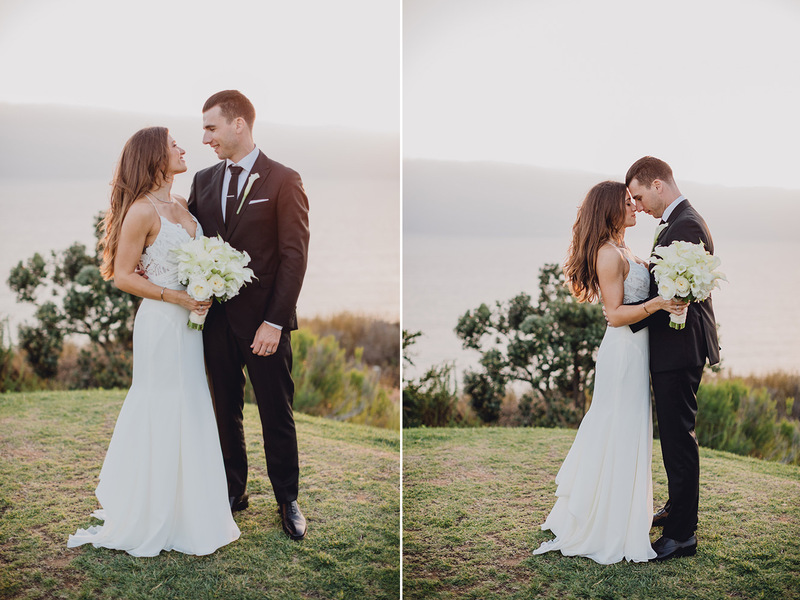 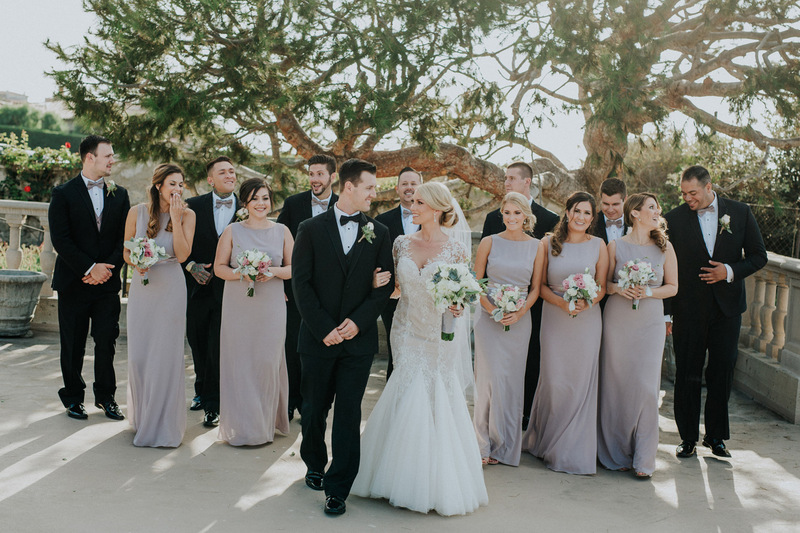 Keep scrolling to gain inspiration from this magical Trump Golf Club Palos Verdes wedding. 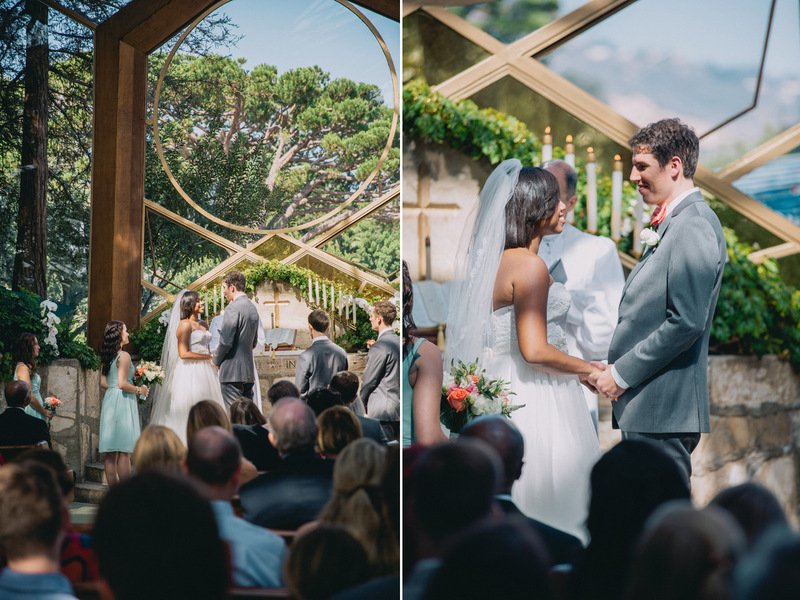 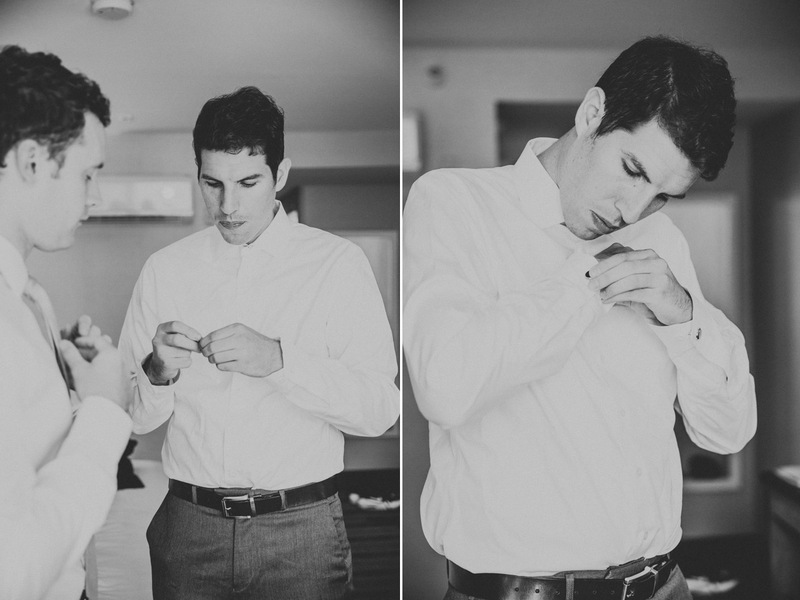 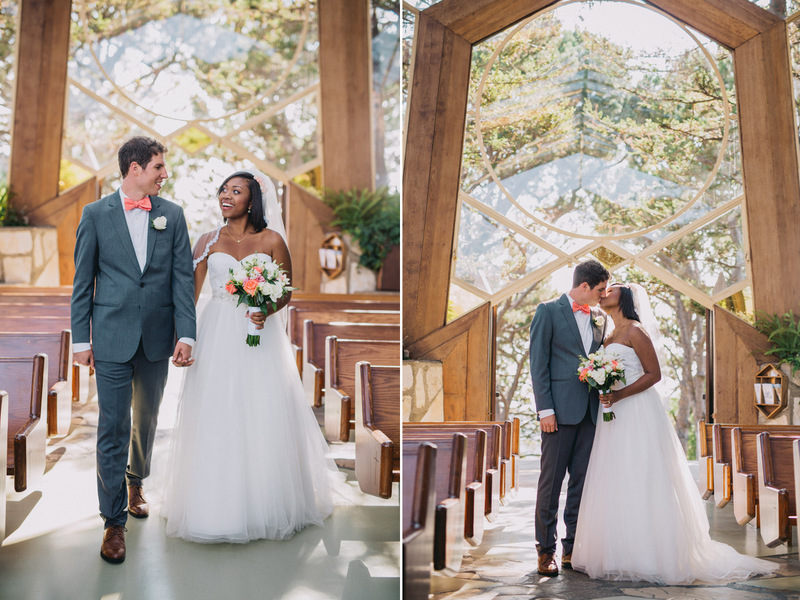 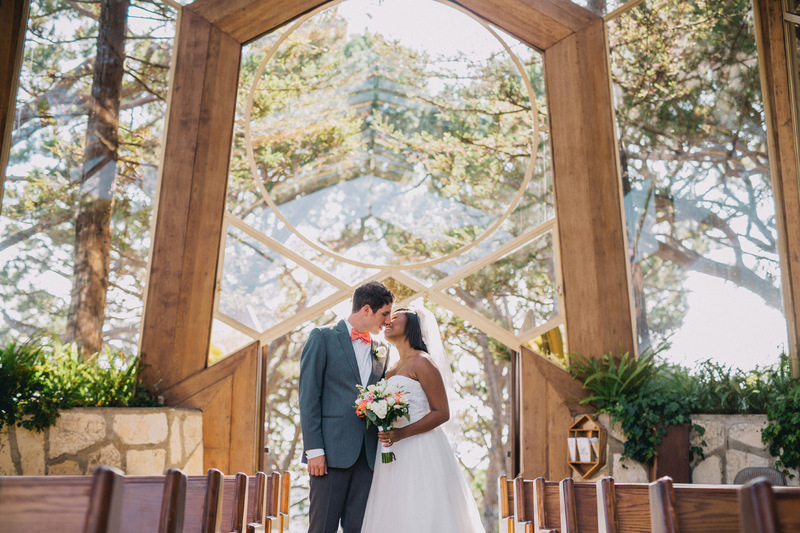 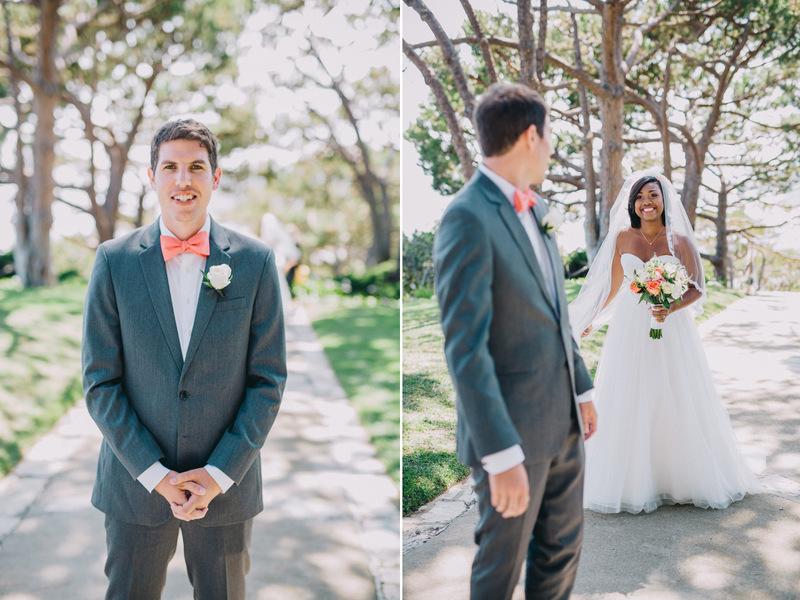 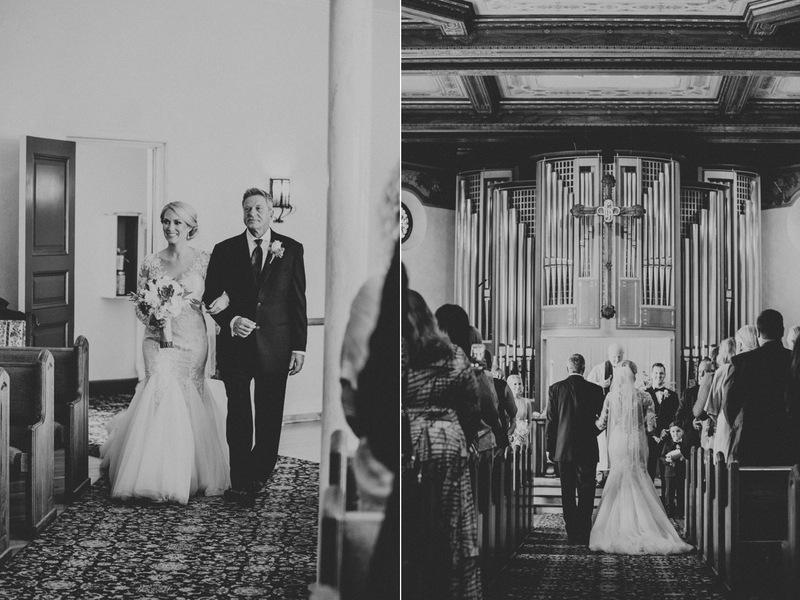 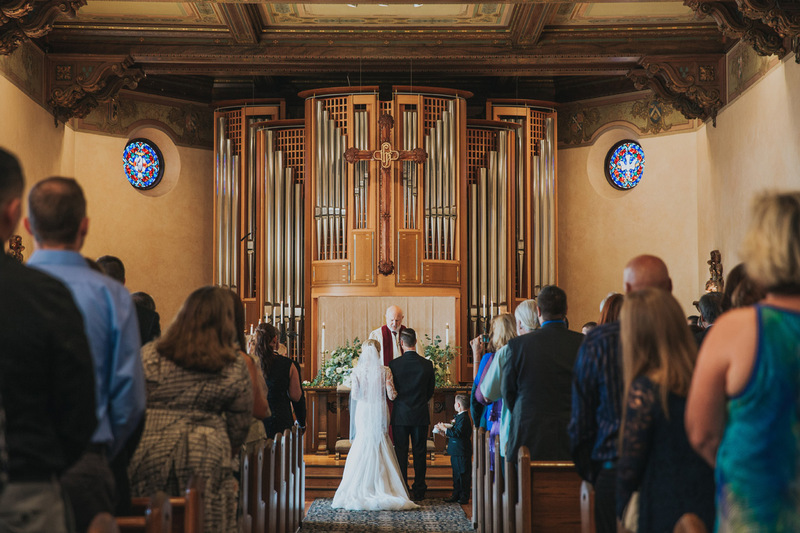 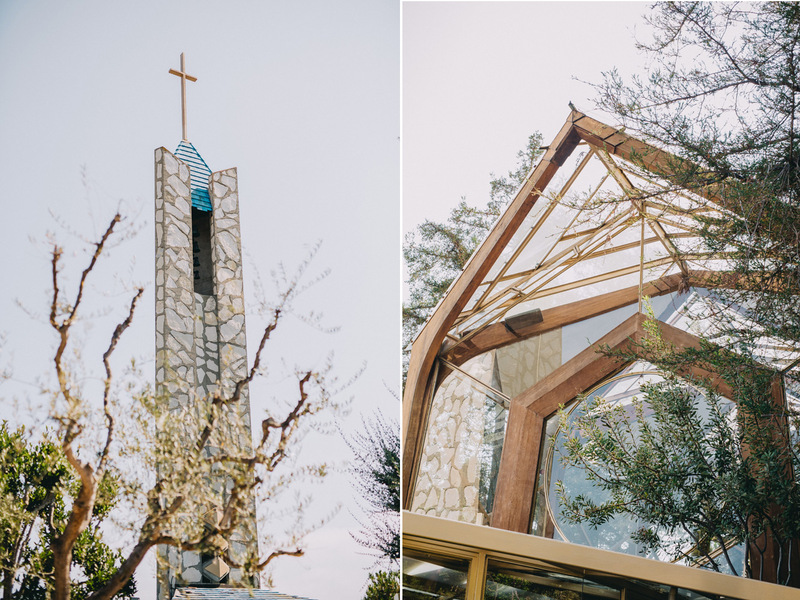 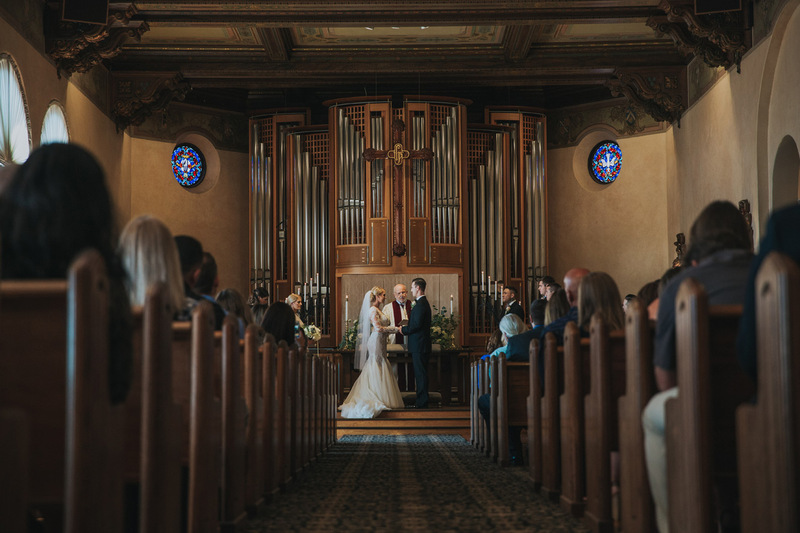 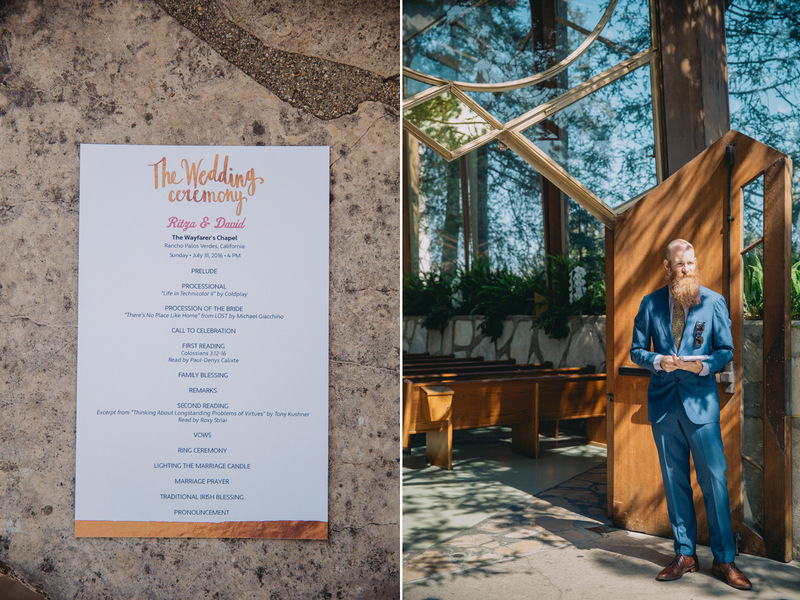 Chesy and Justin were married at the beautiful Neighborhood Church in Palos Verdes. 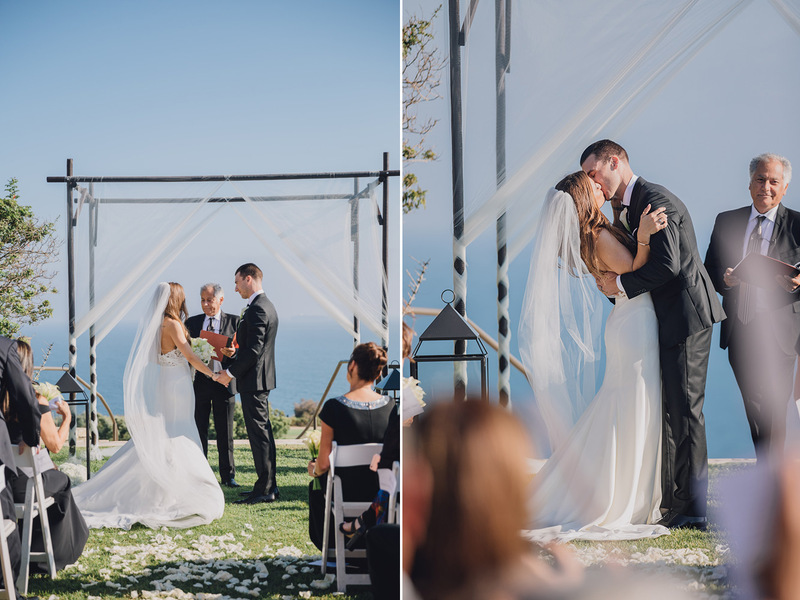 It is one of the most beautiful wedding venues and nestled right on the coast overlooking the ocean. 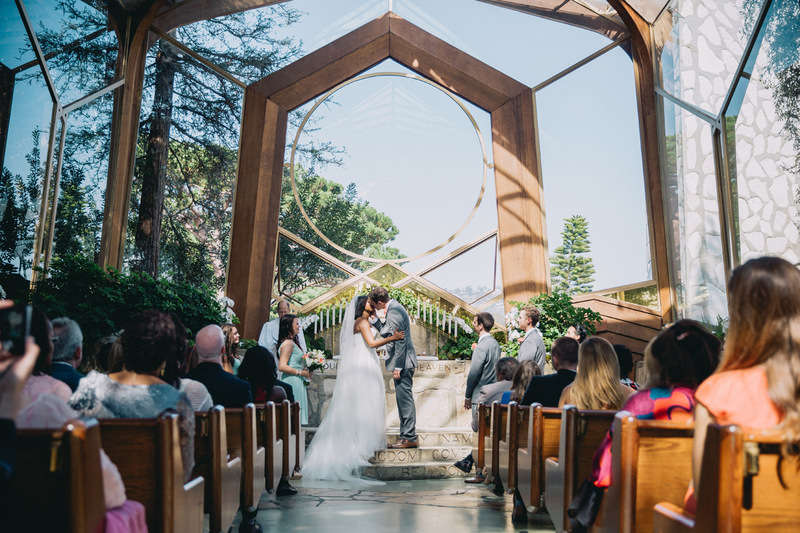 Not only is the church beautiful inside, but the lush grounds surrounding the church are breathtaking as well. 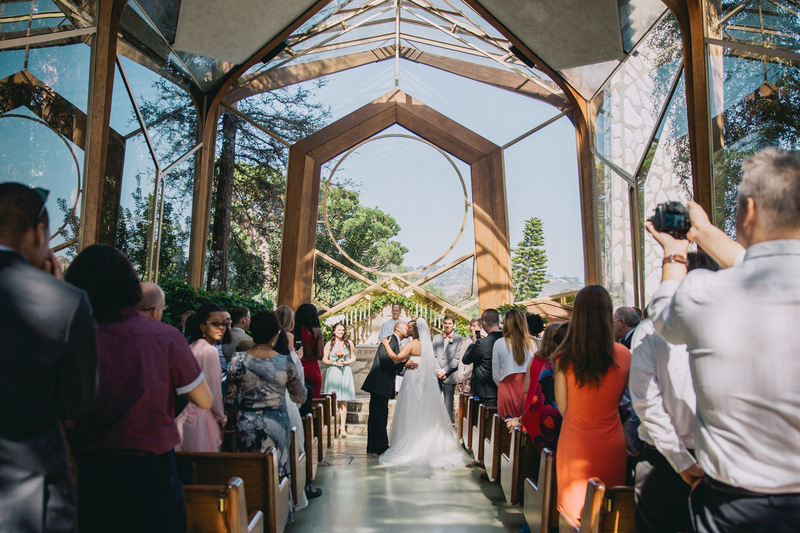 This makes it one of the best wedding venues in Southern California. 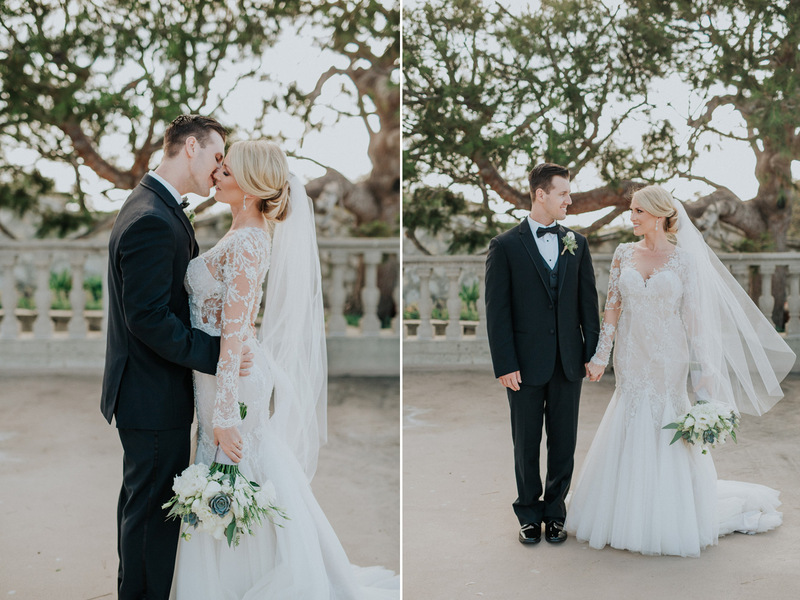 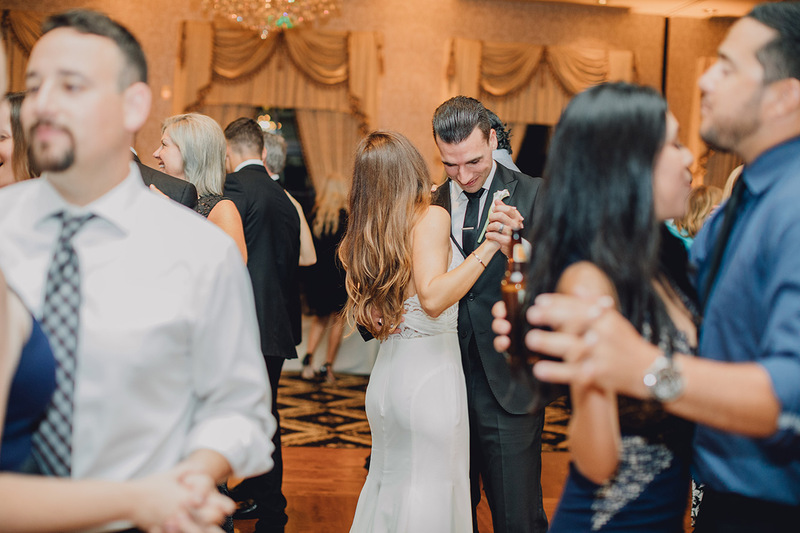 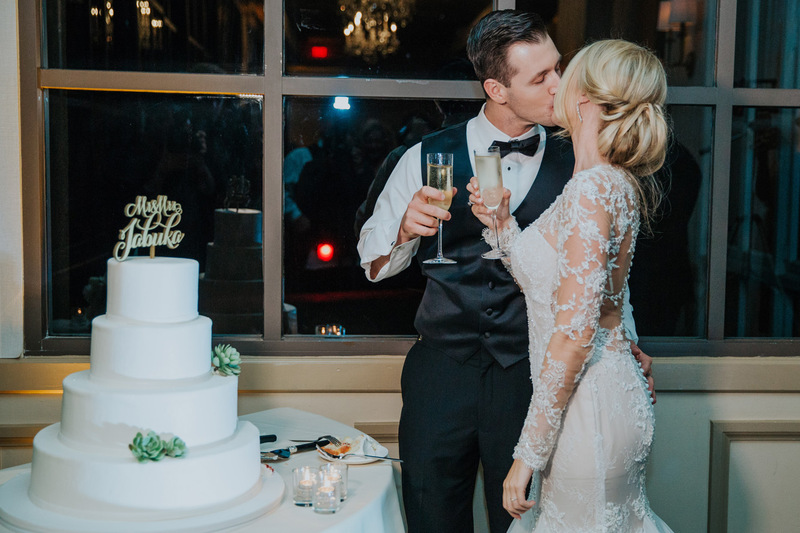 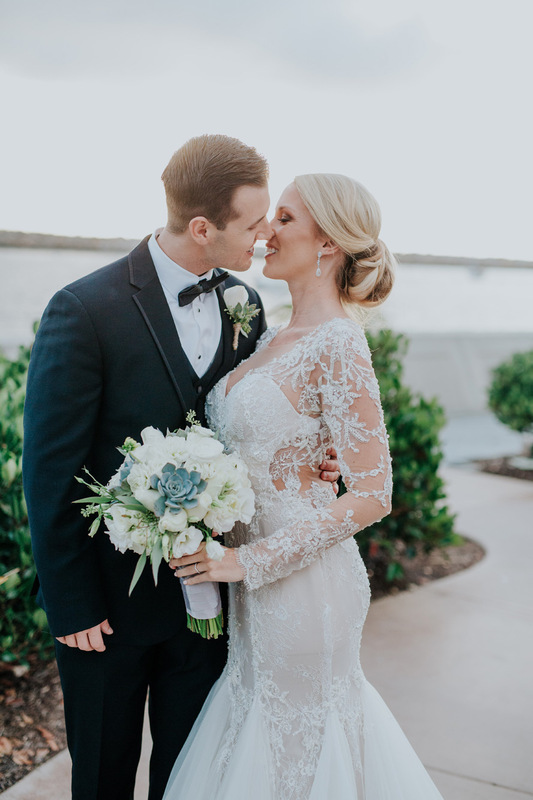 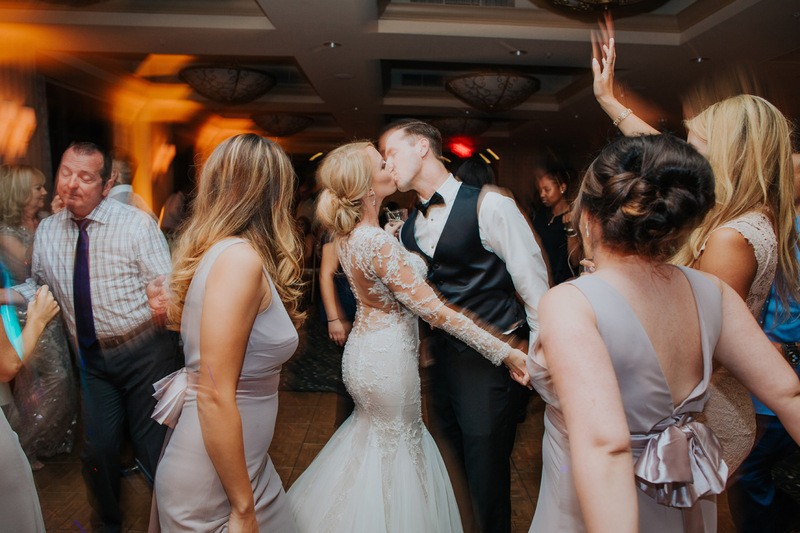 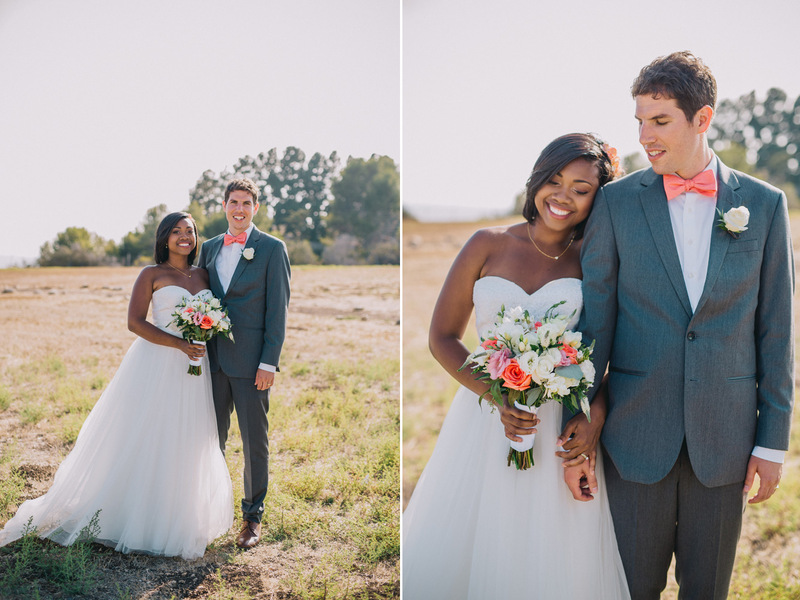 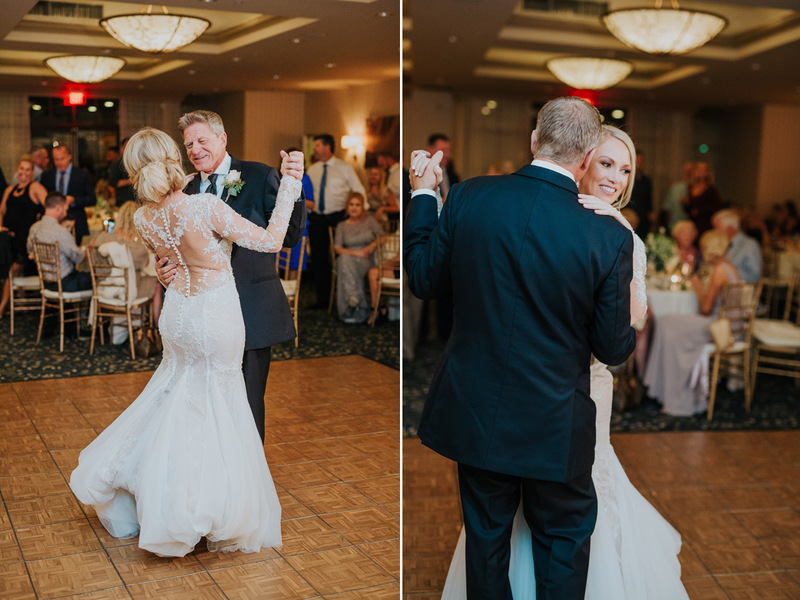 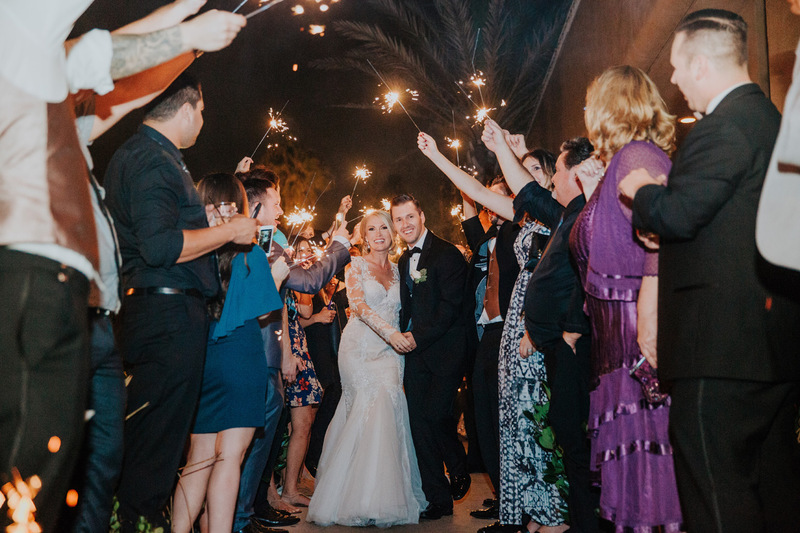 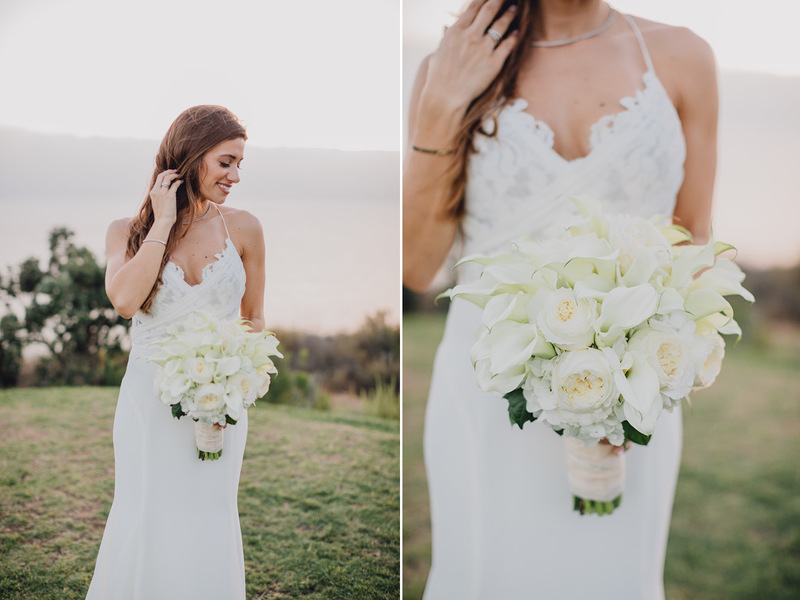 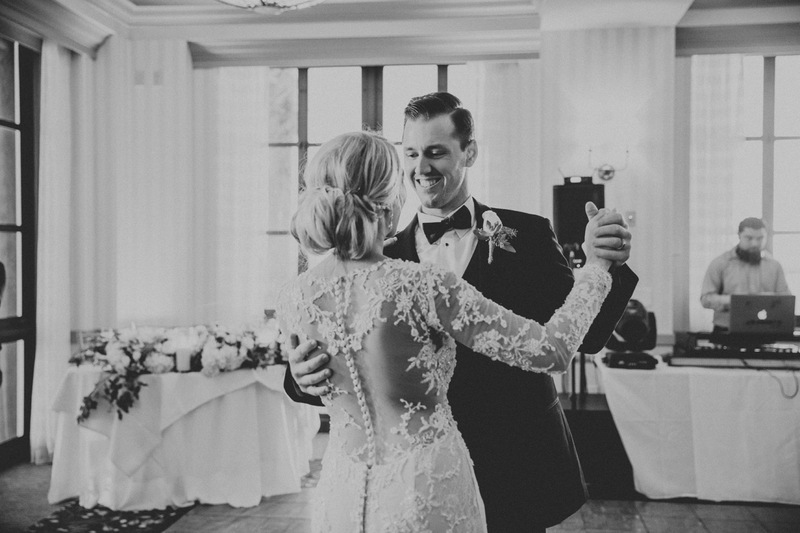 The bride worn a stunning lace back wedding dress which complimented the classic style of this California wedding. 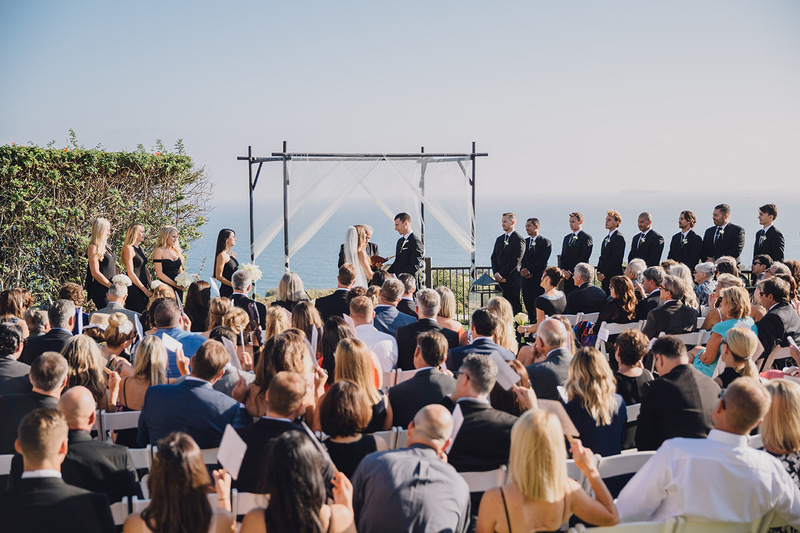 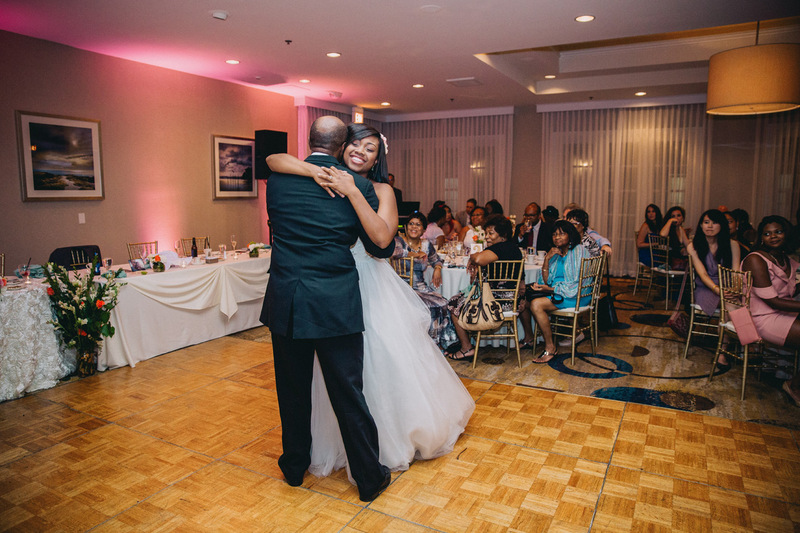 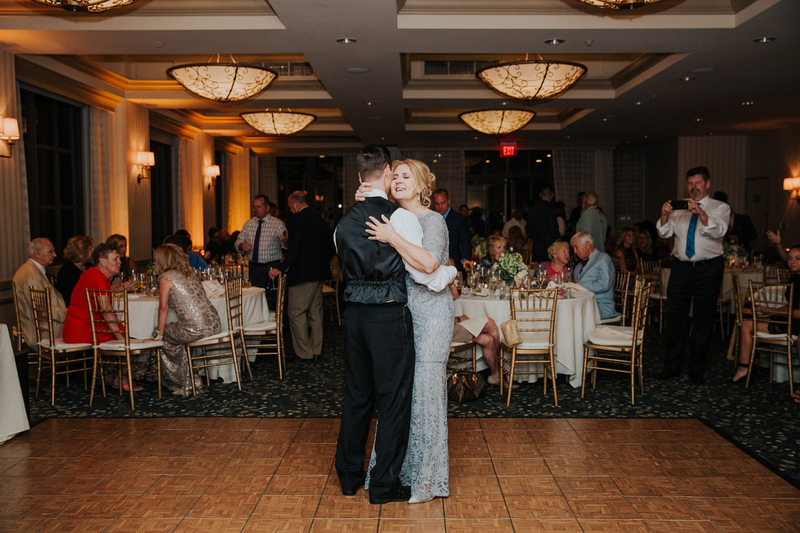 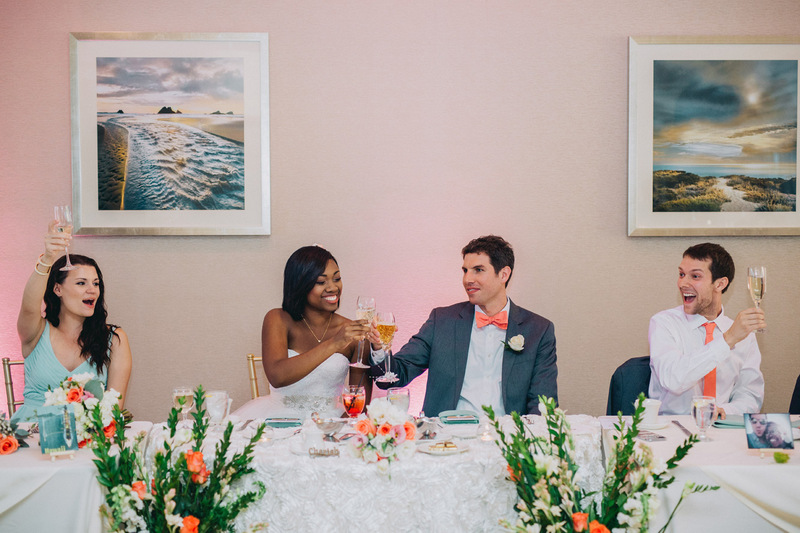 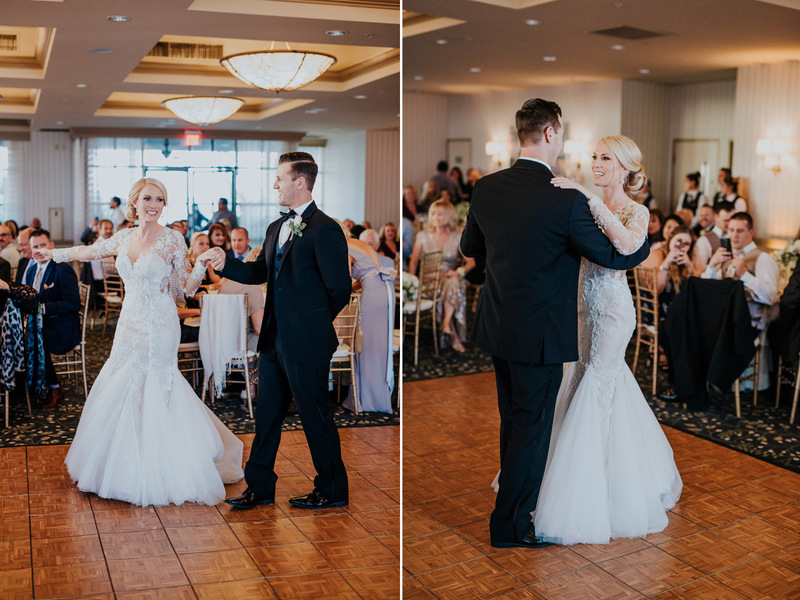 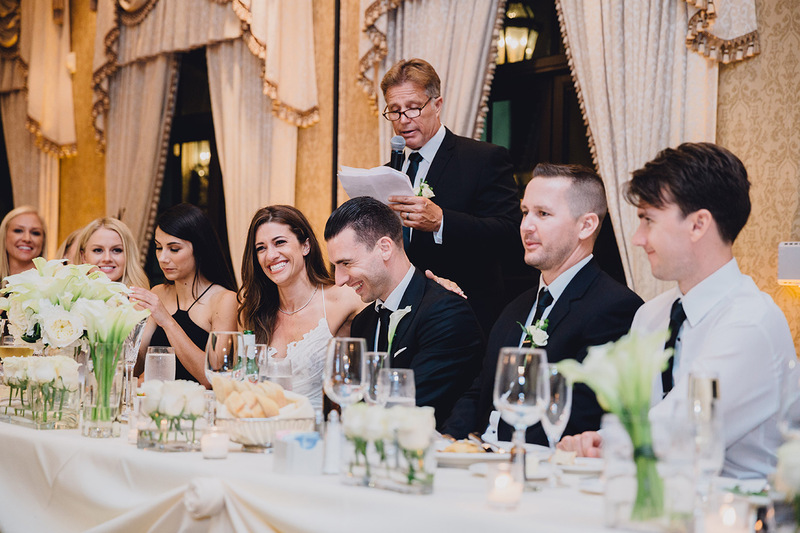 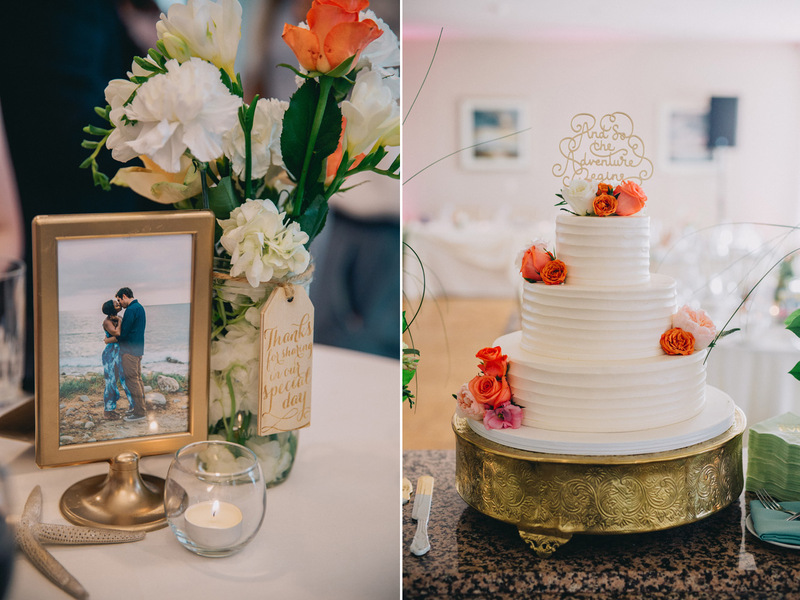 The reception was held at the Portofino Hotel in Redondo Beach in a ballroom overlooking the Redondo Beach Marina. 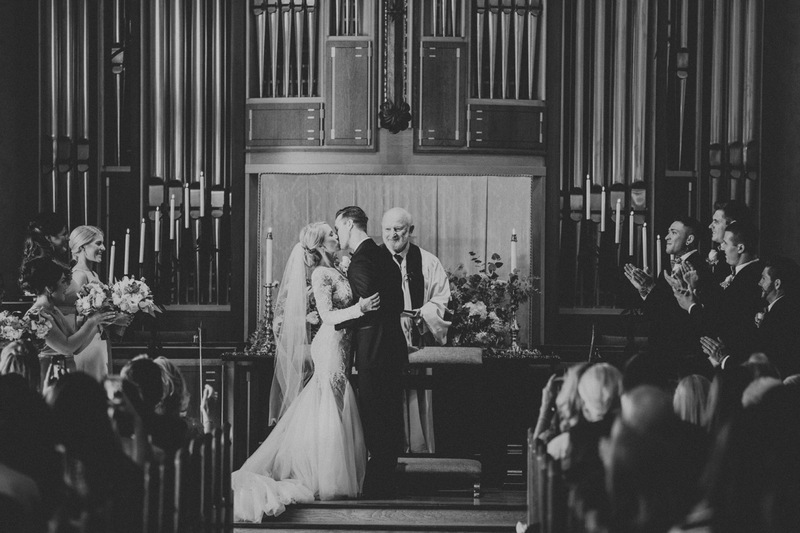 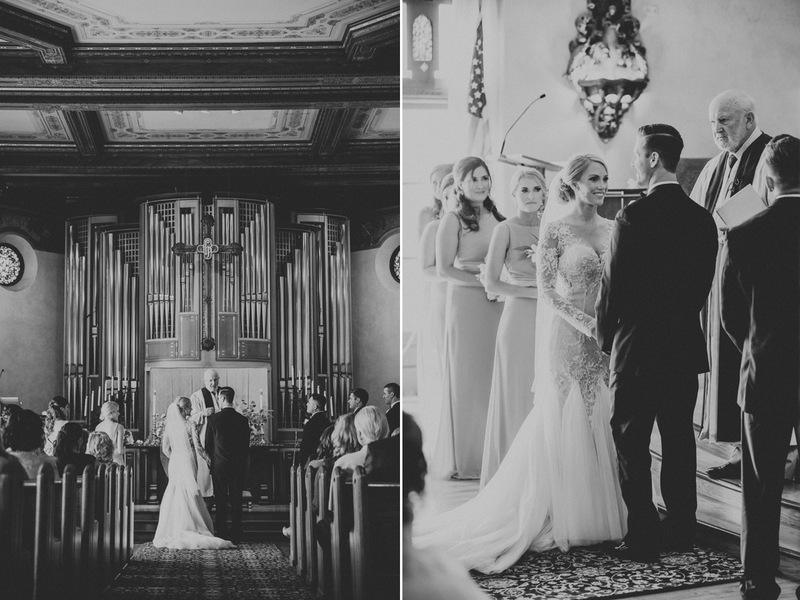 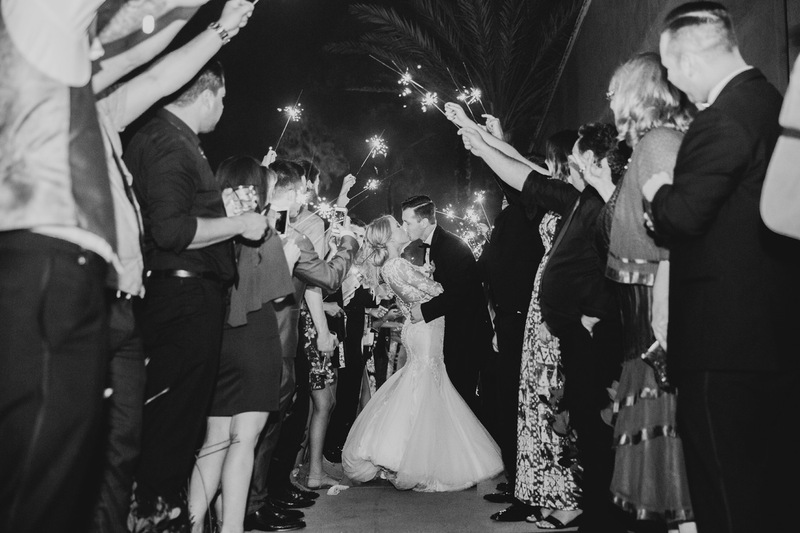 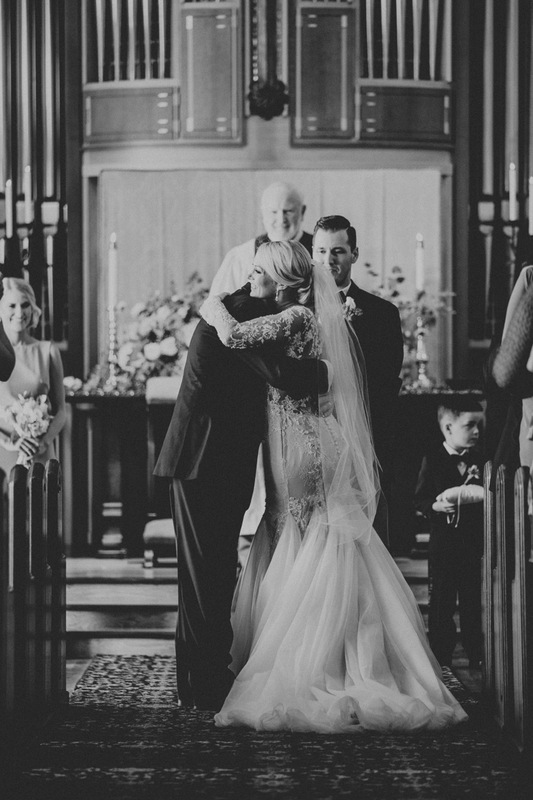 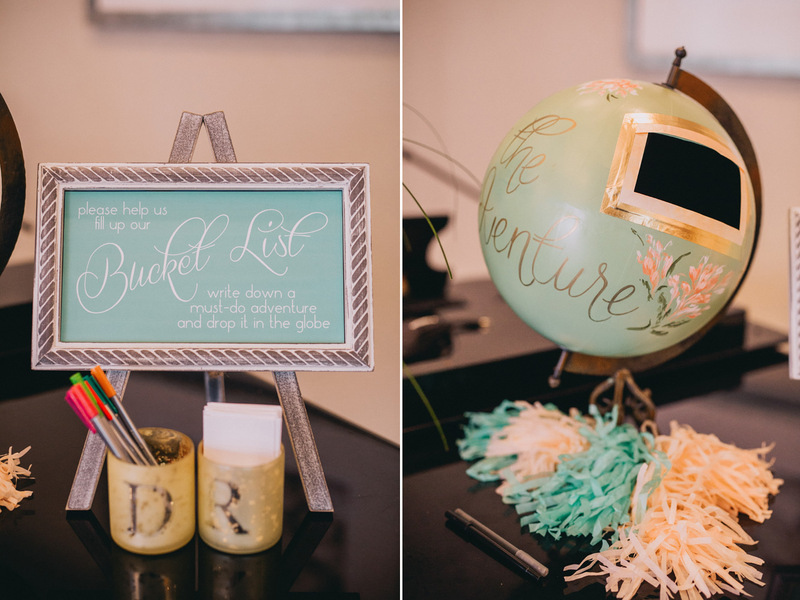 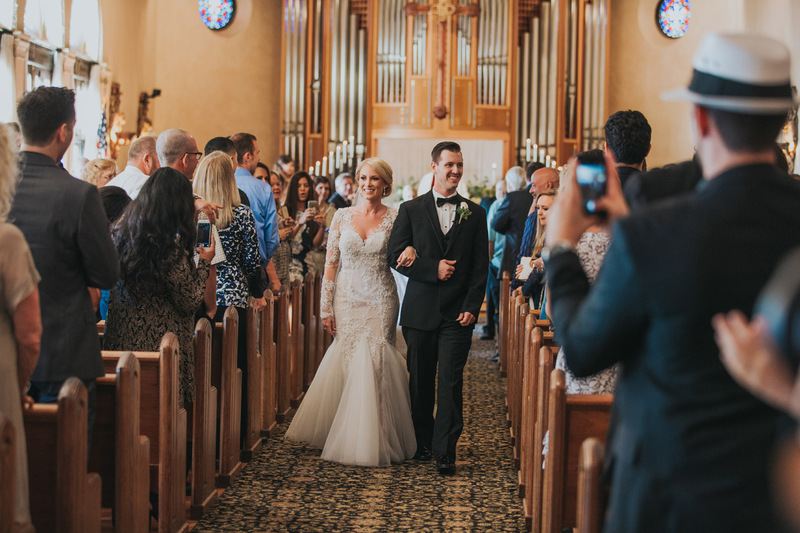 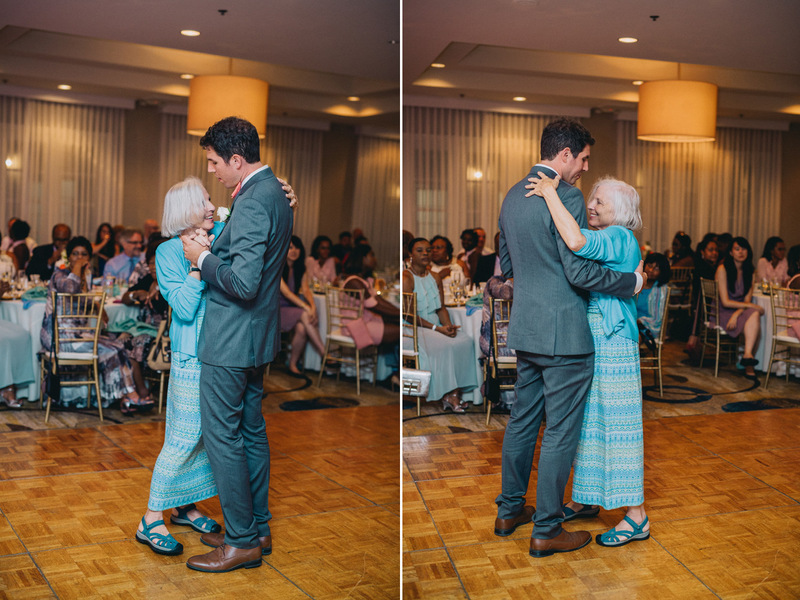 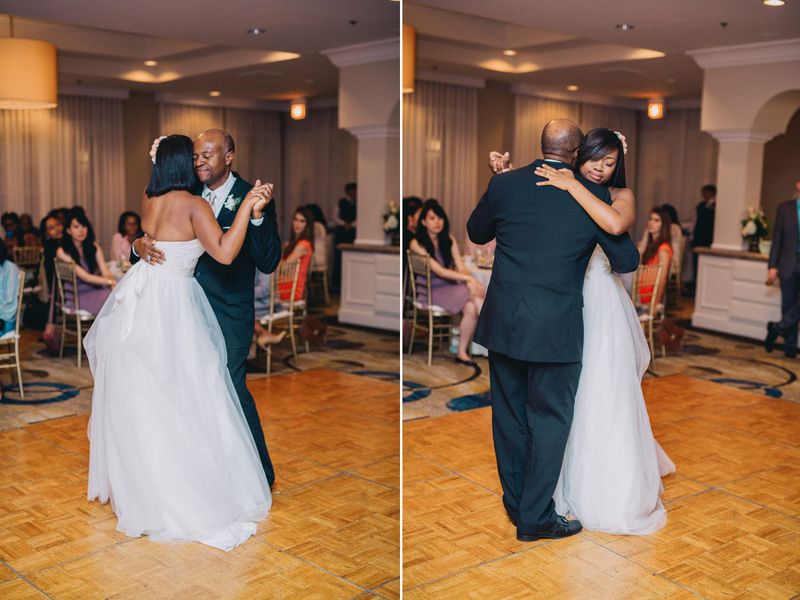 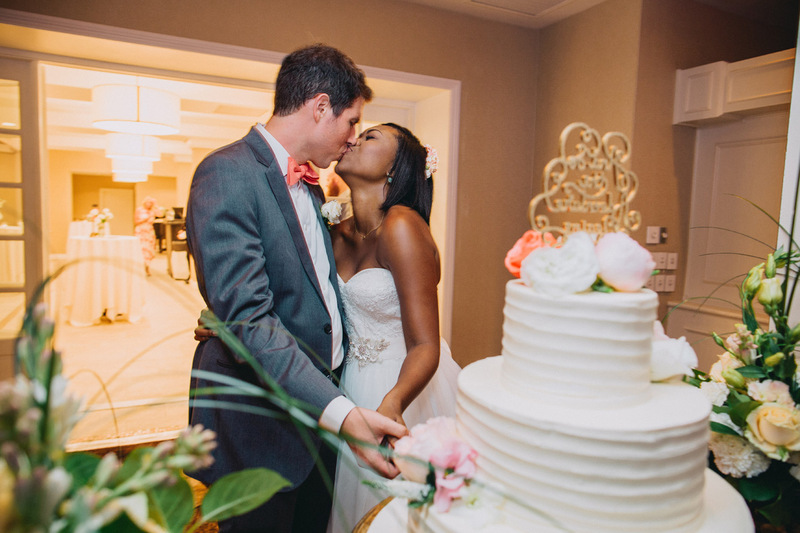 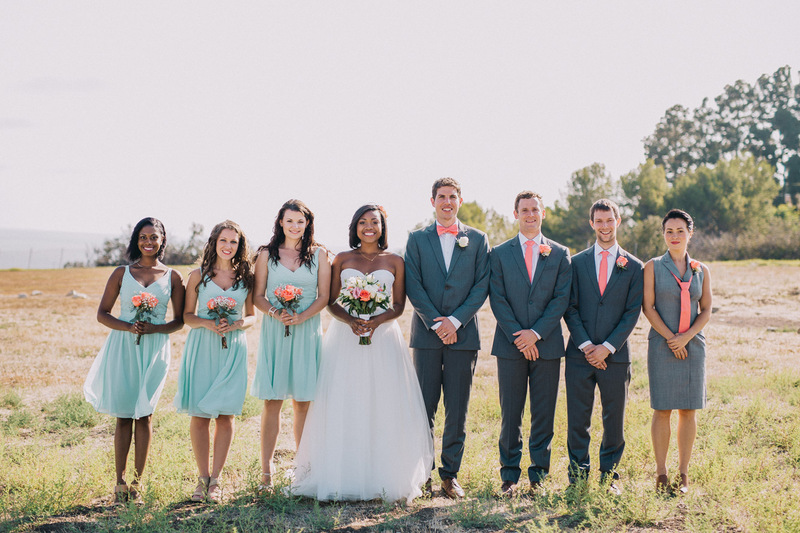 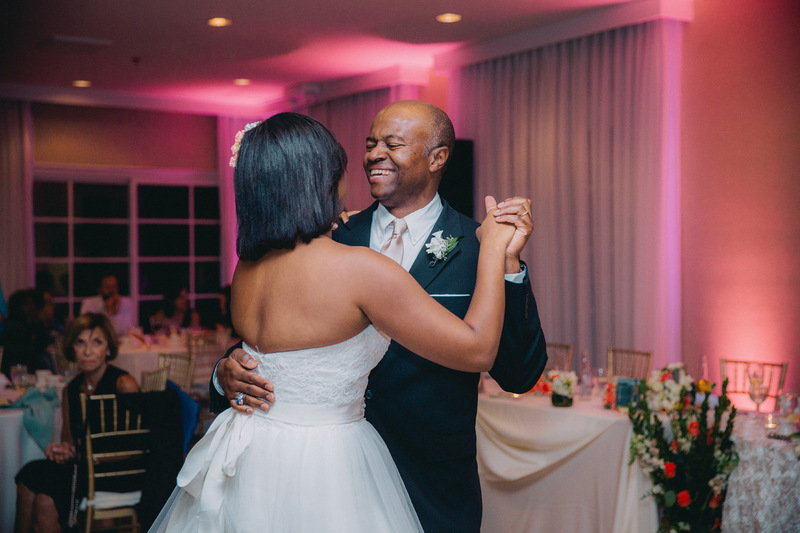 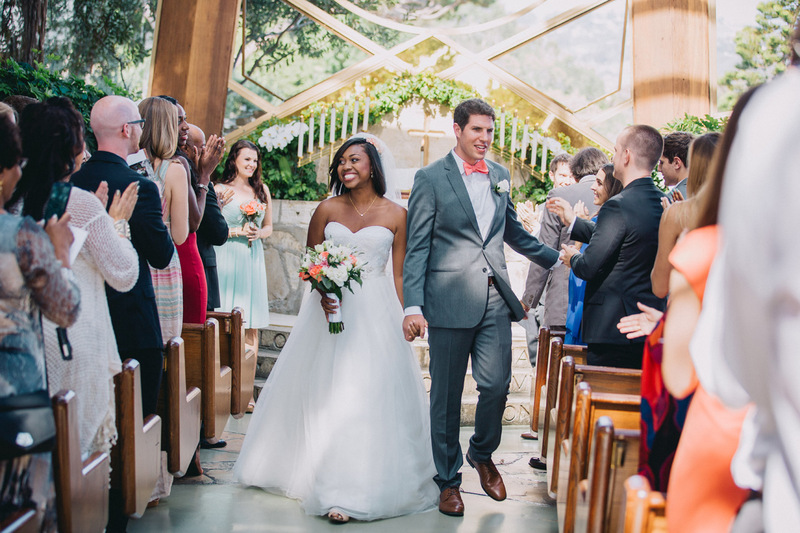 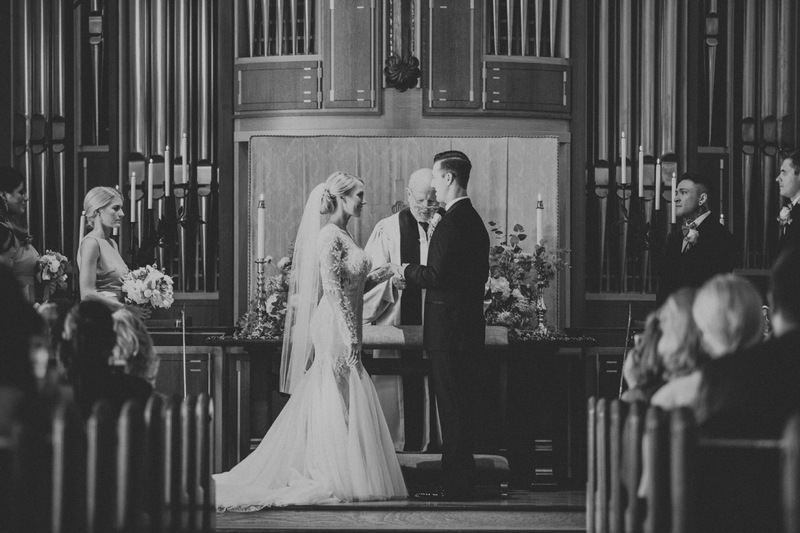 We are in love with everything about this Neighborhood Church Wedding! 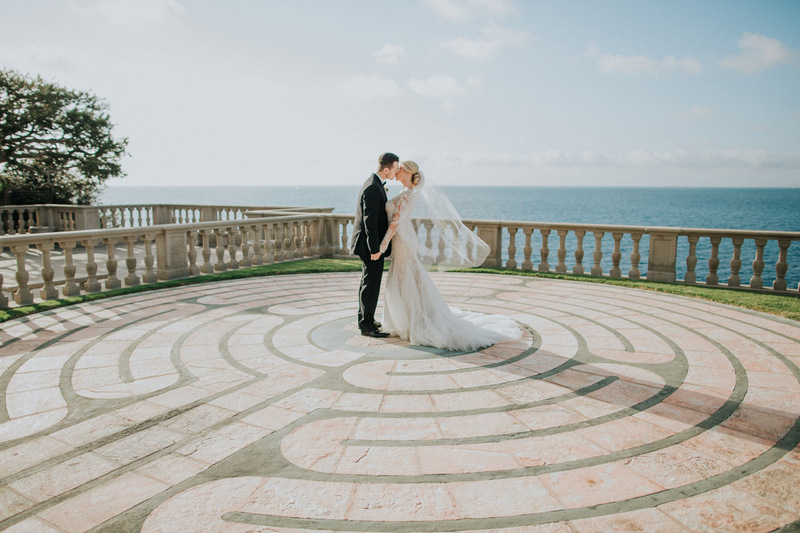 CLICK HERE to see more photos from other Palos Verdes wedding venues!